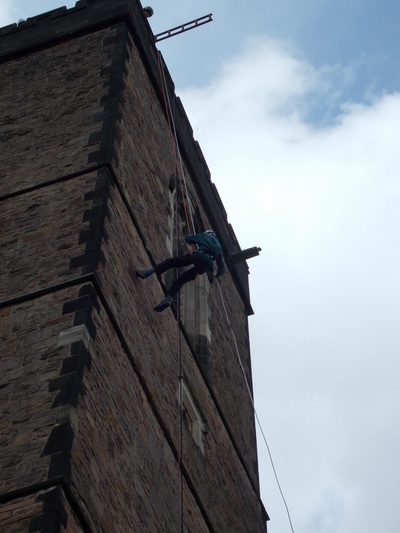 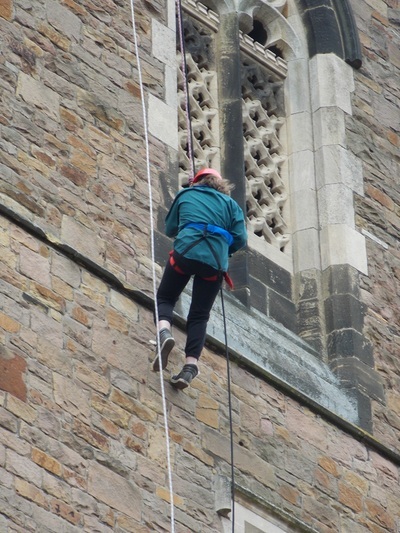 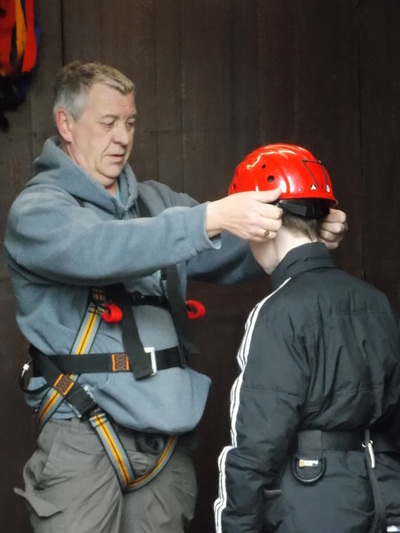 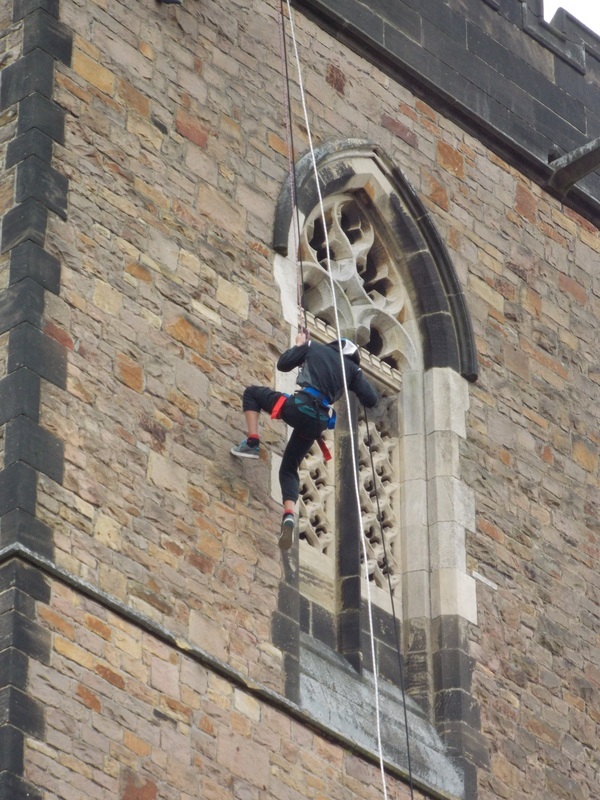 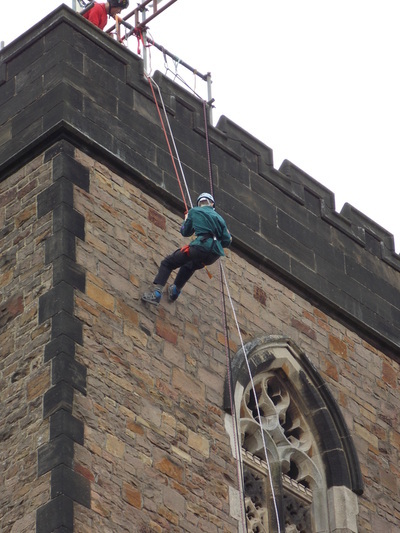 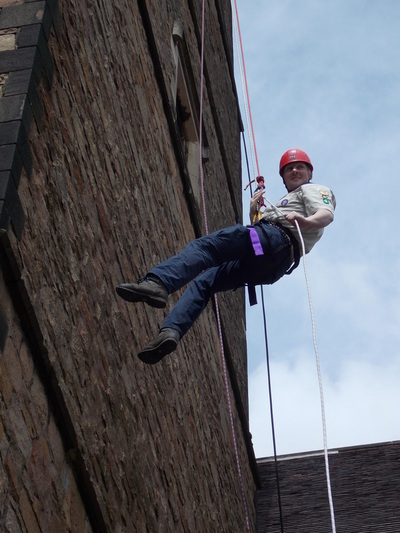 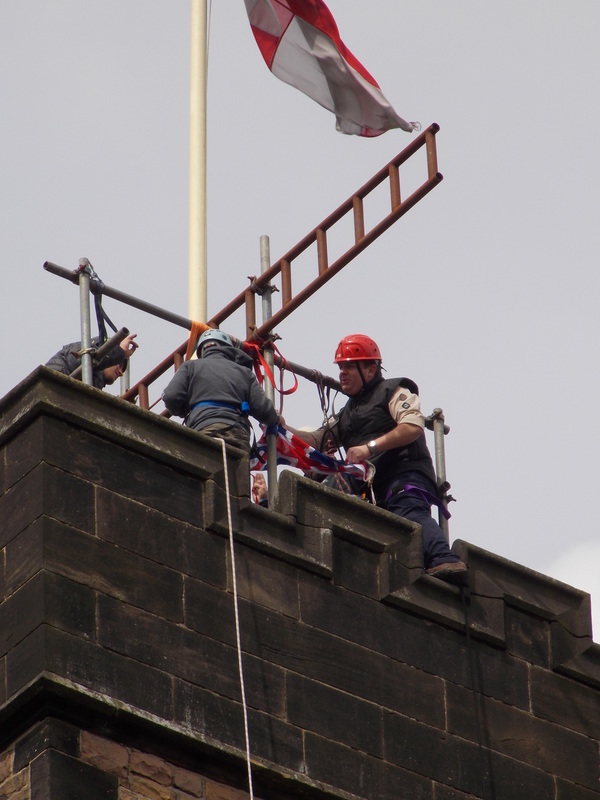 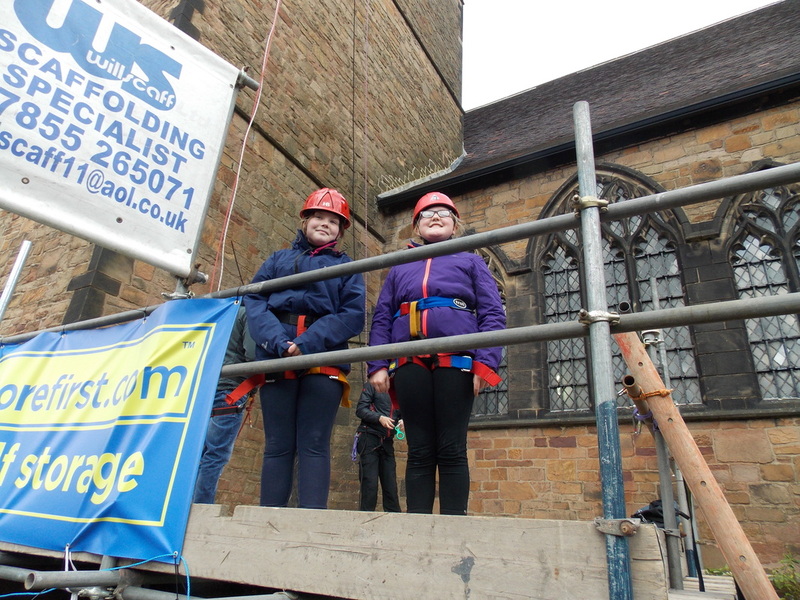 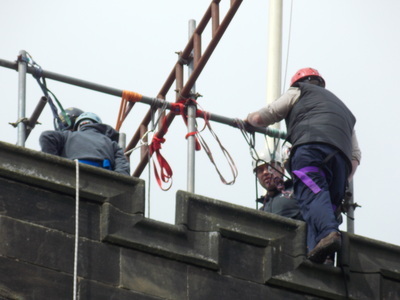 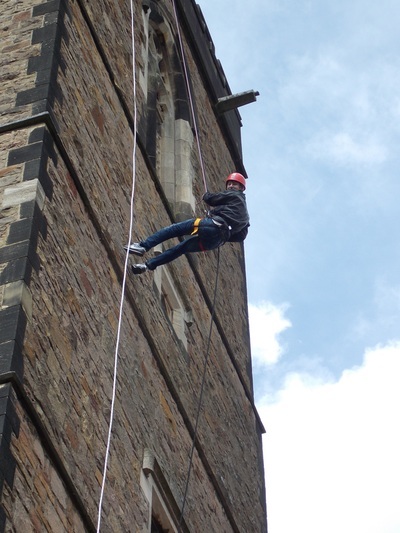 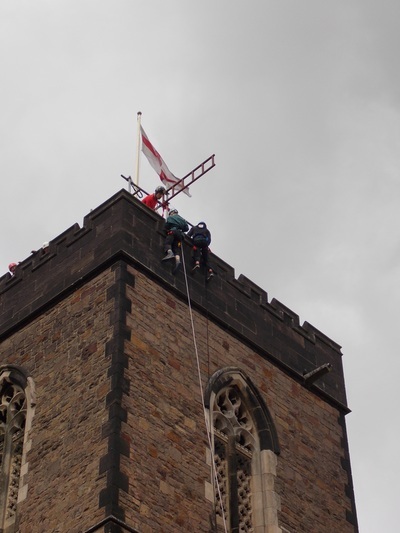 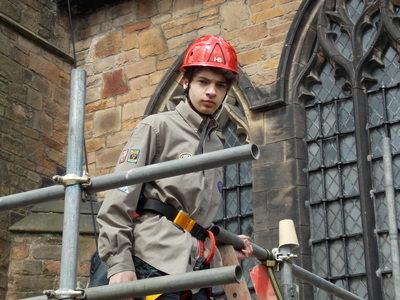 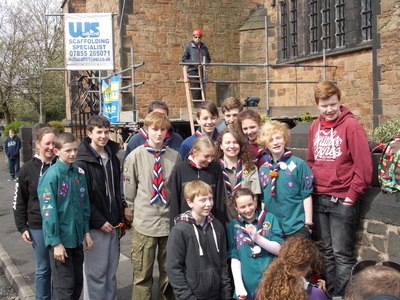 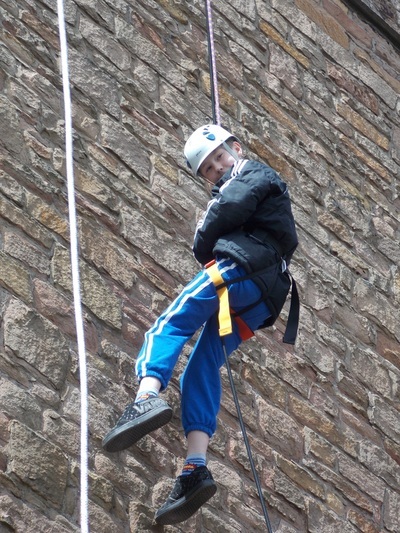 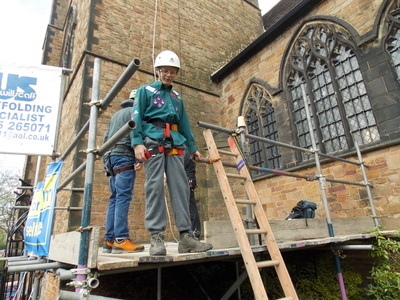 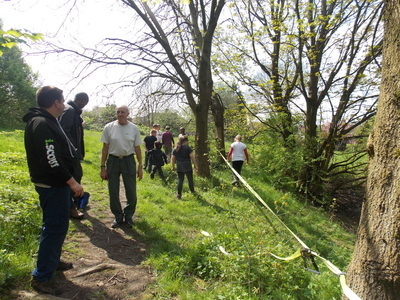 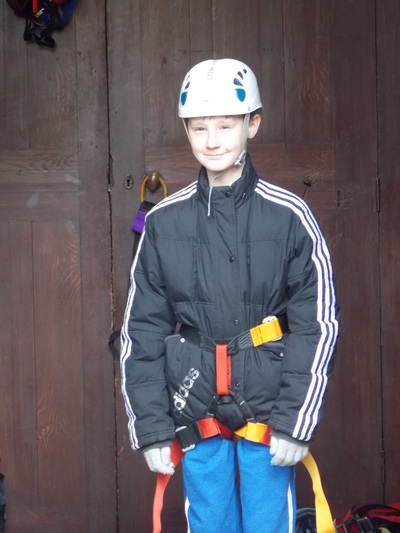 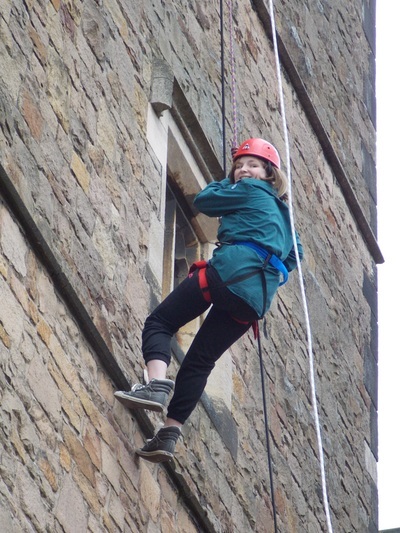 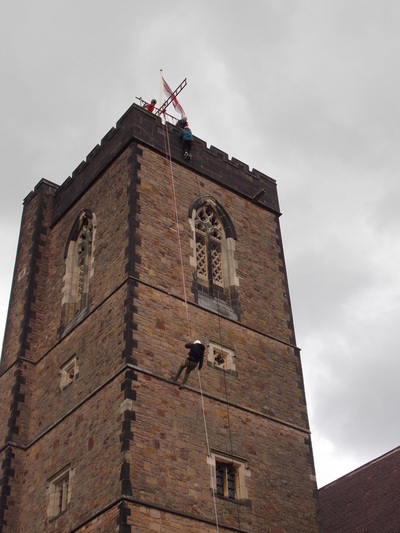 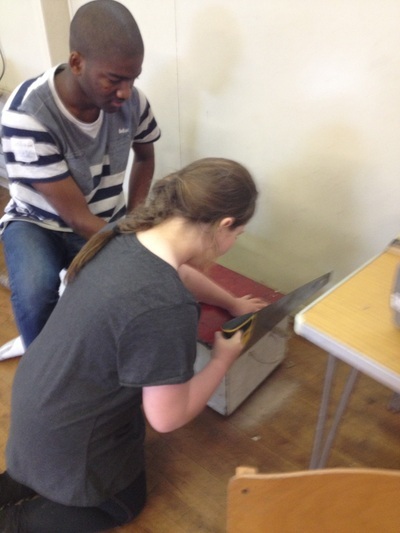 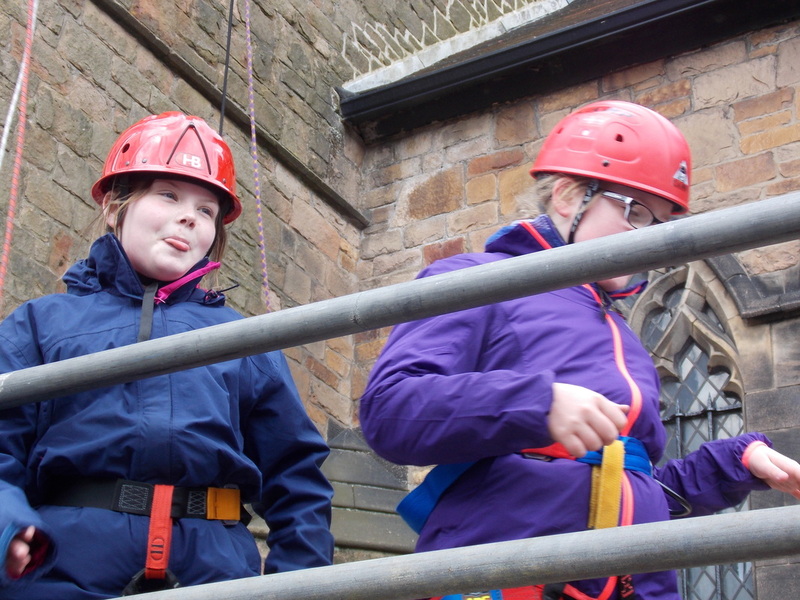 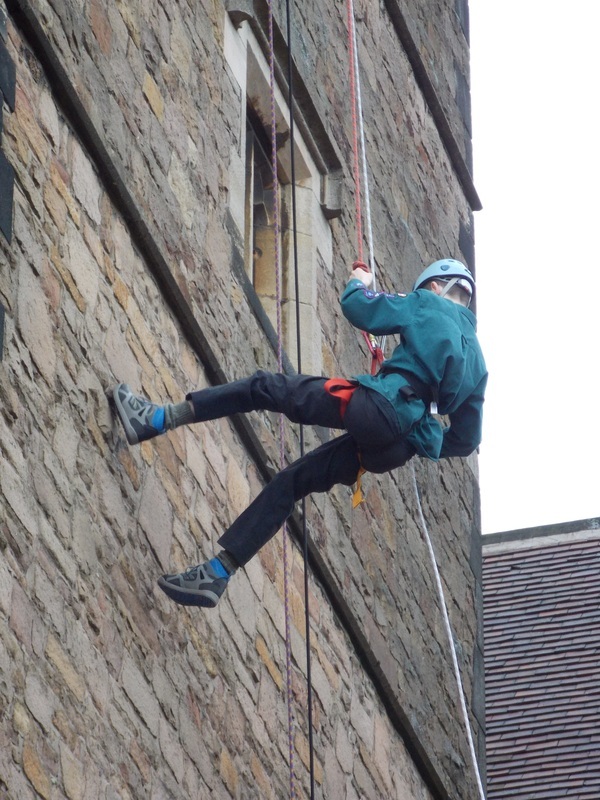 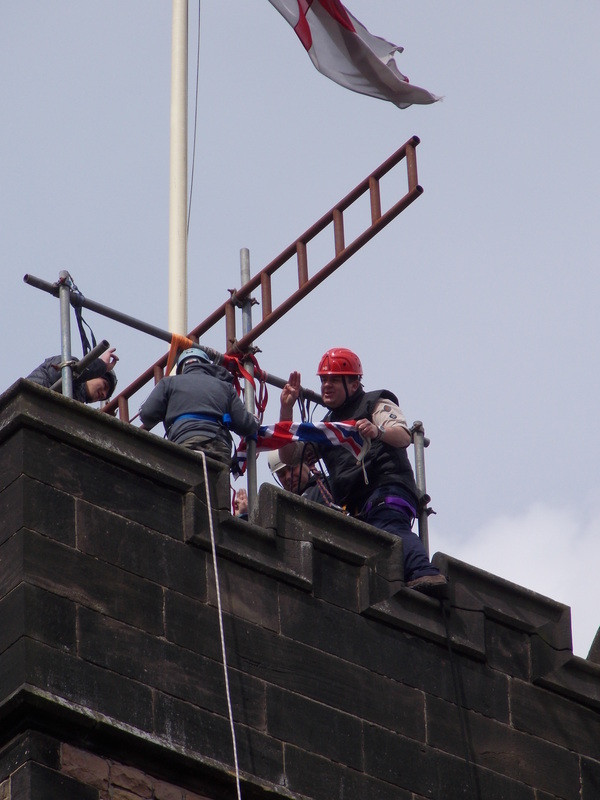 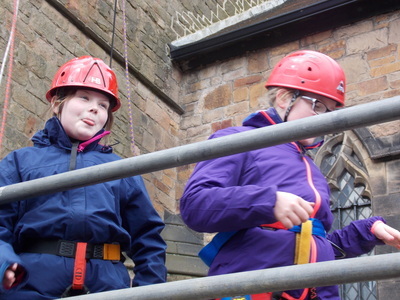 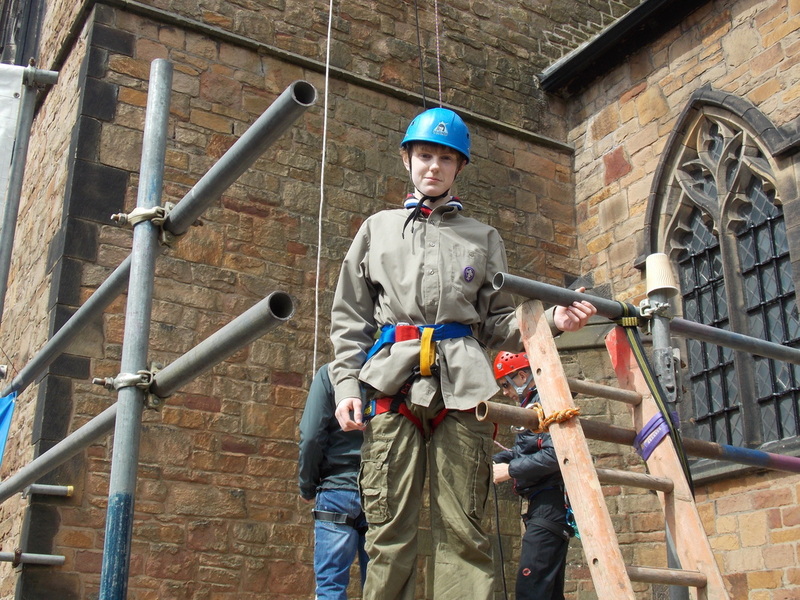 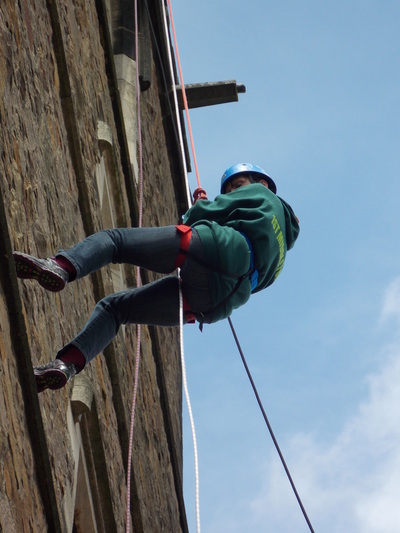 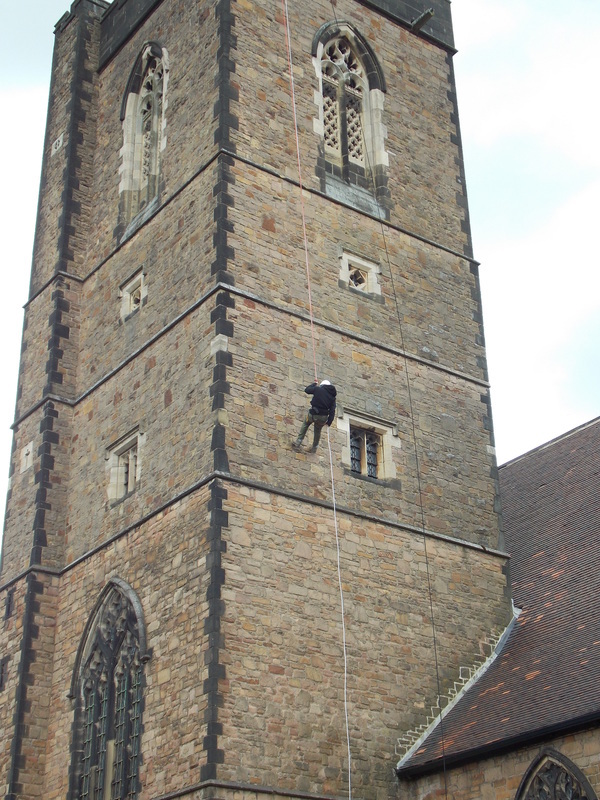 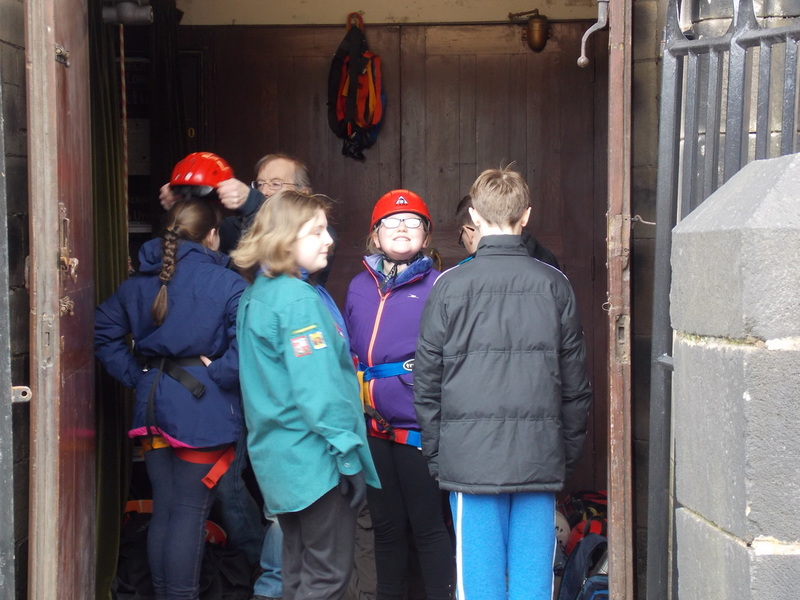 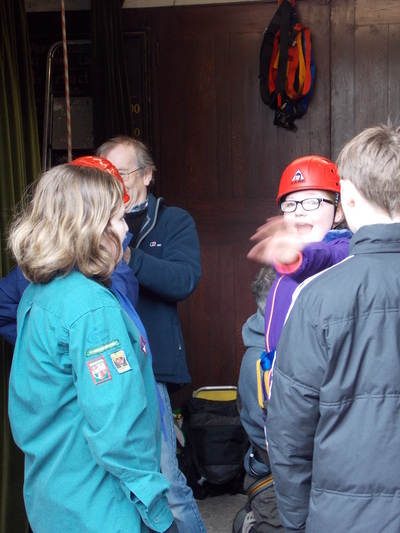 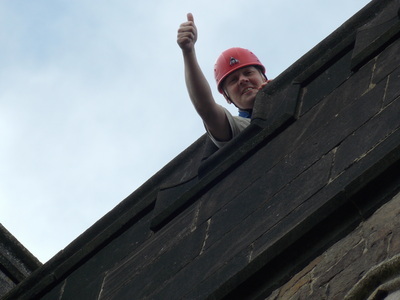 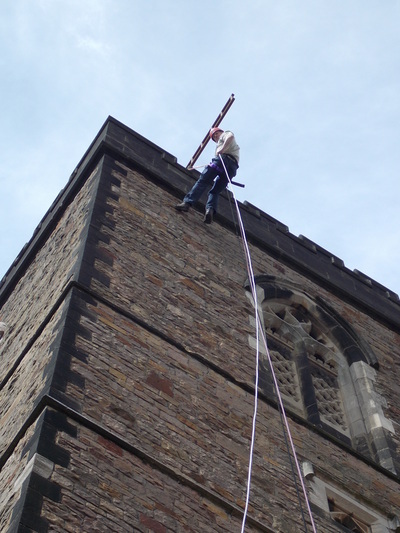 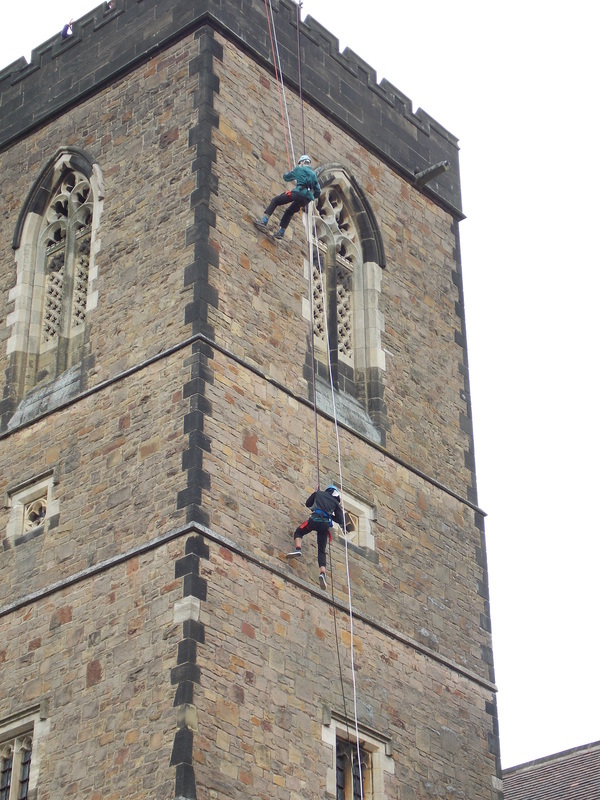 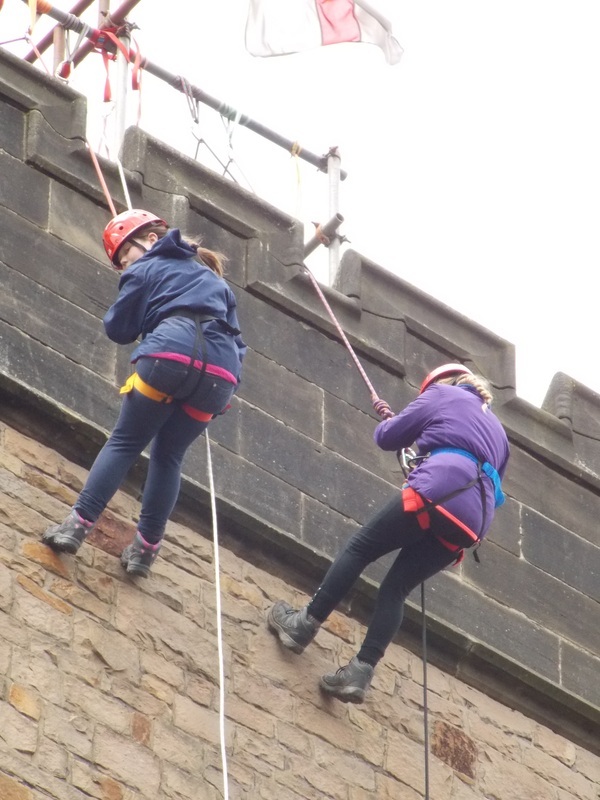 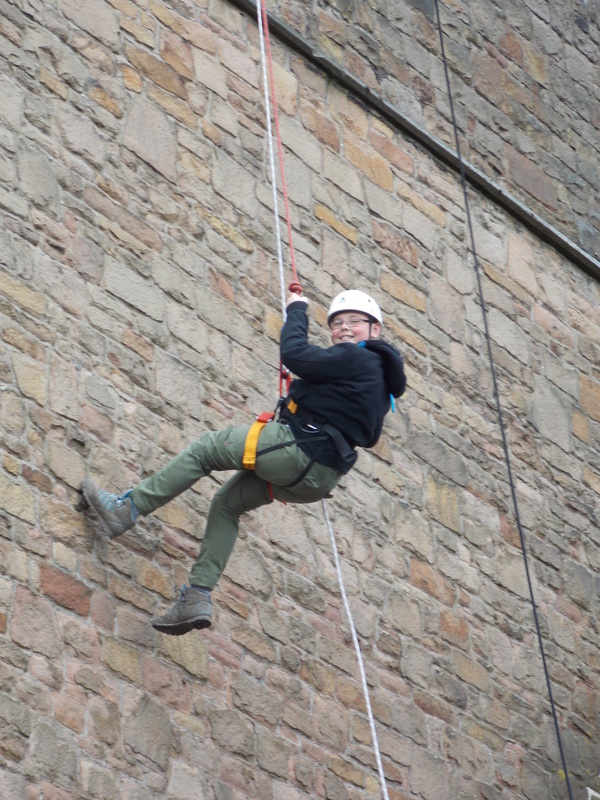 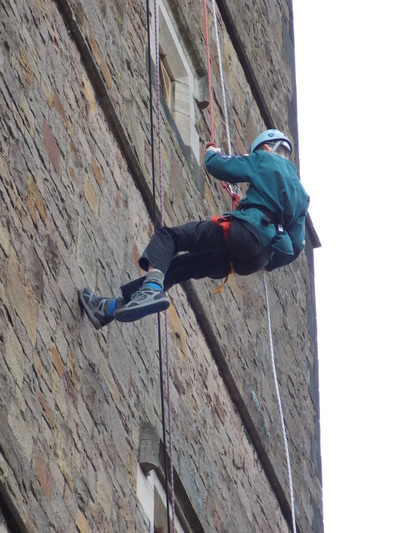 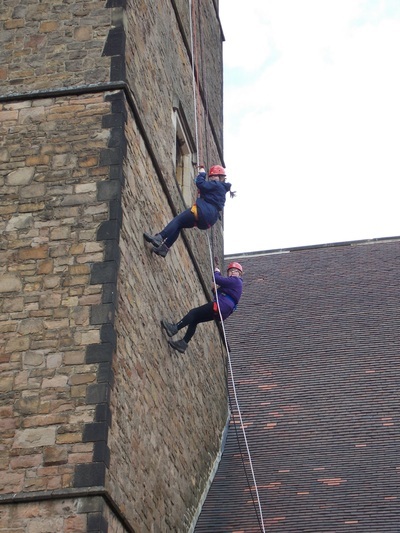 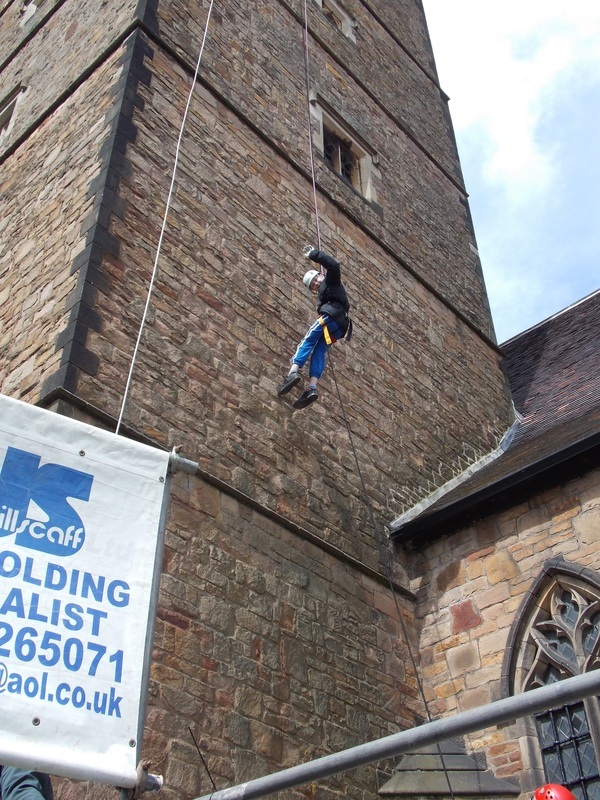 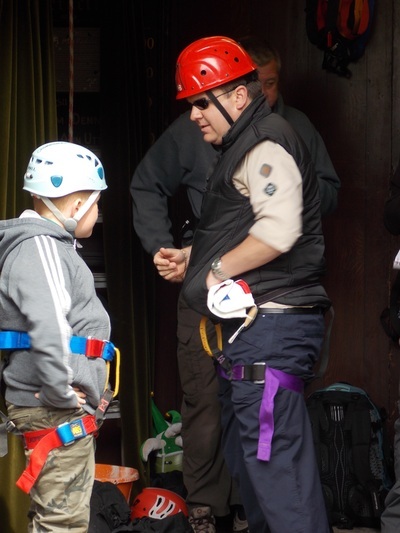 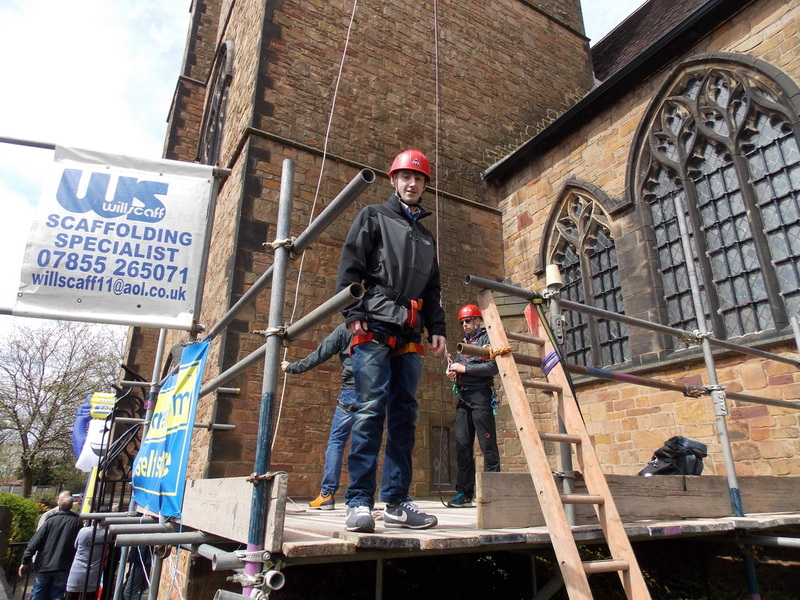 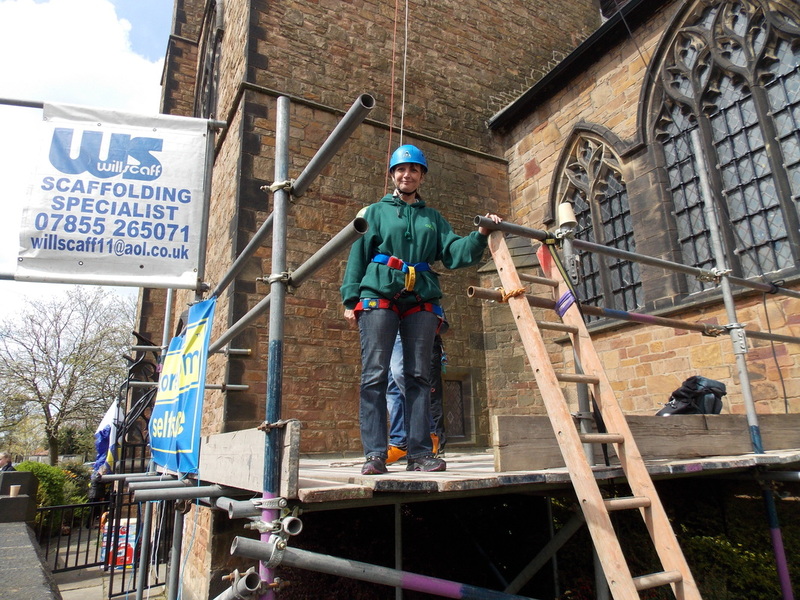 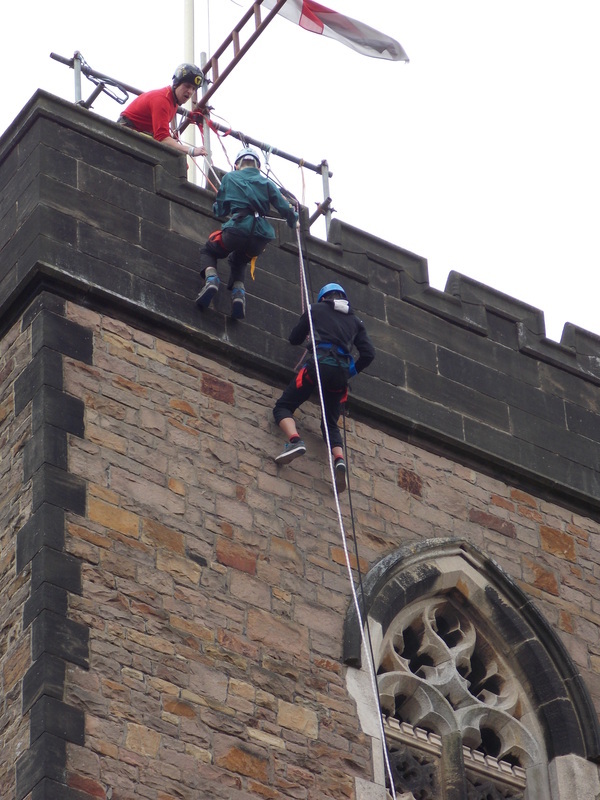 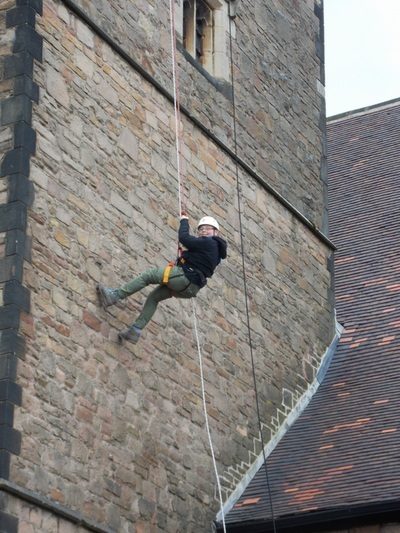 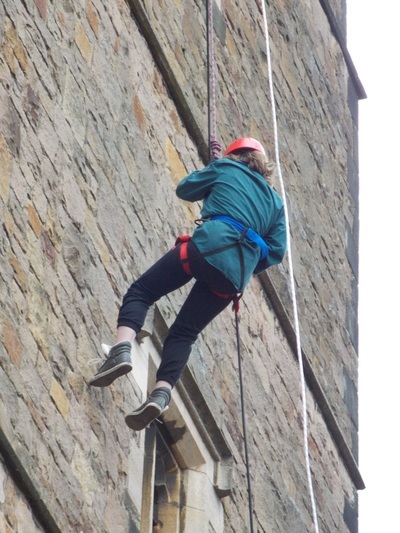 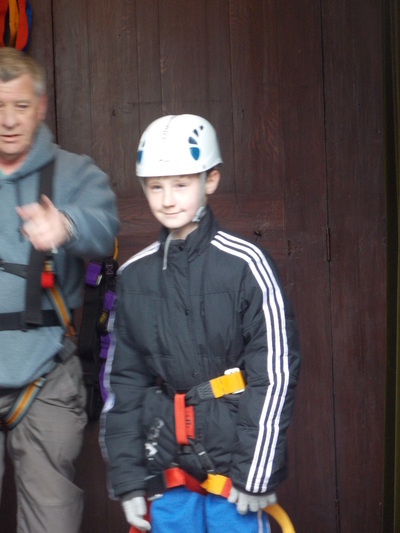 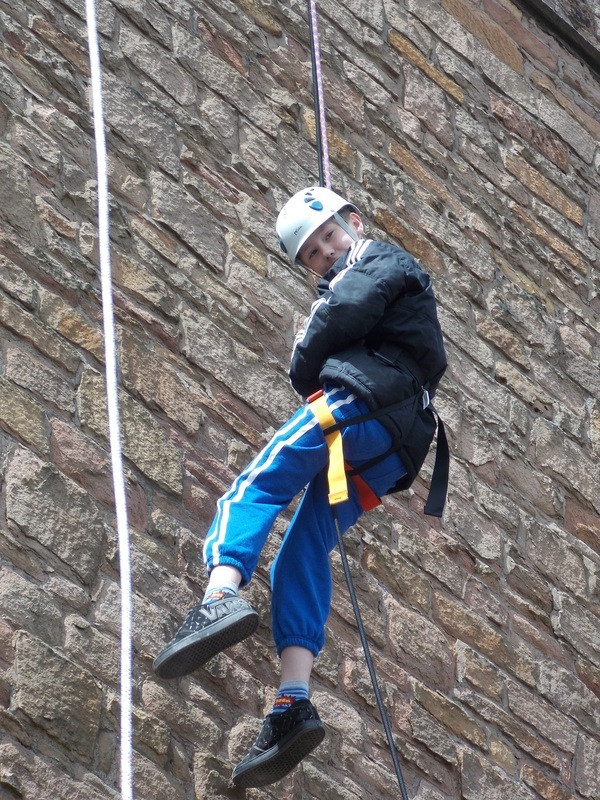 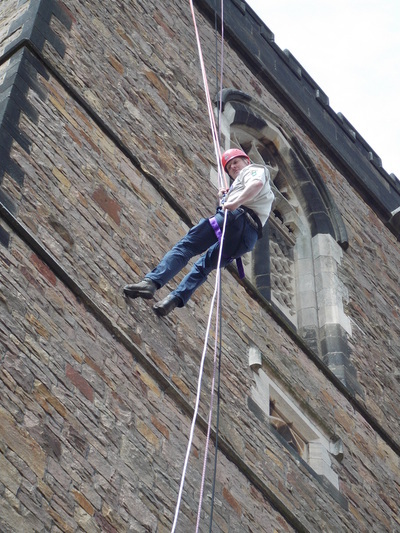 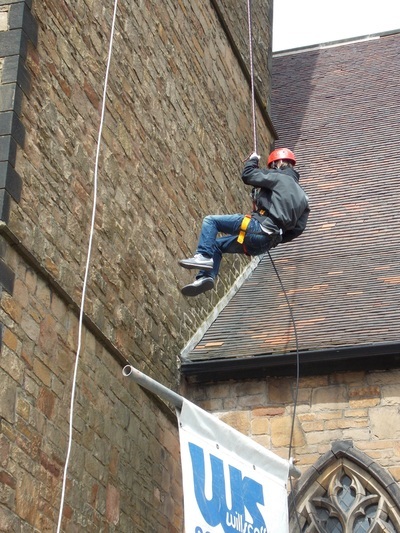 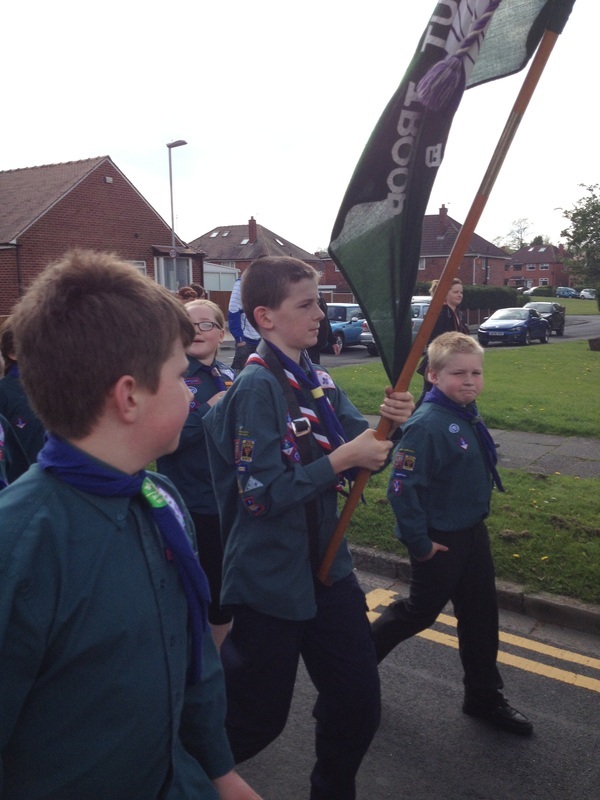 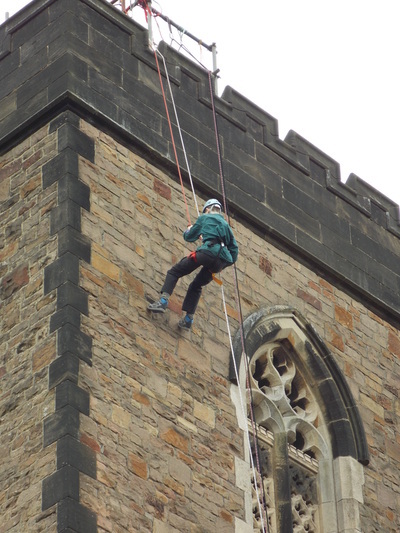 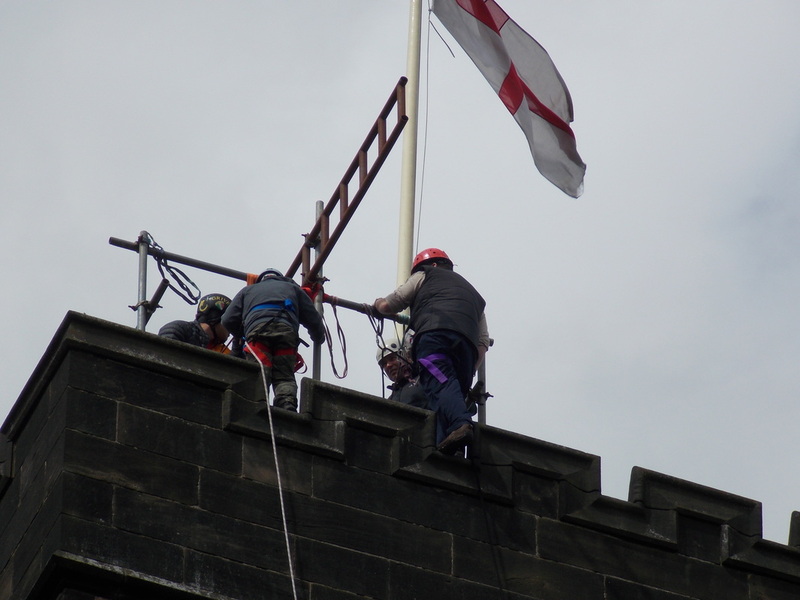 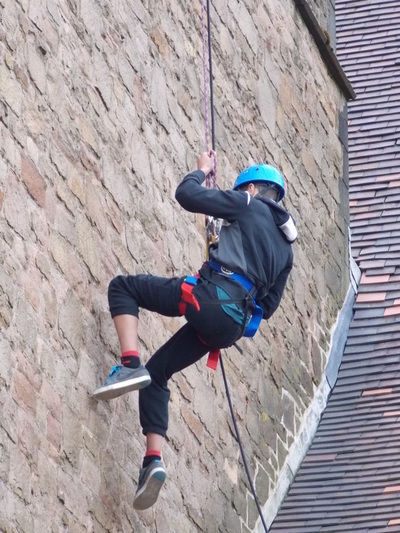 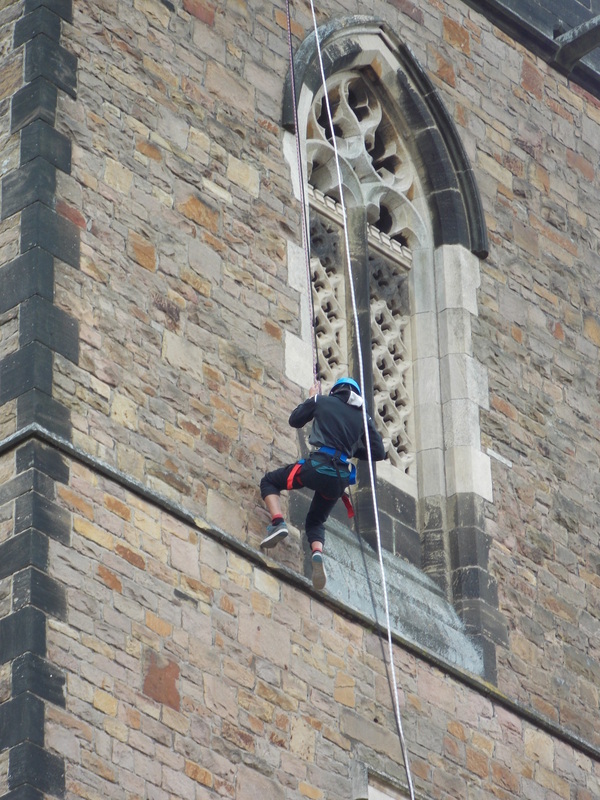 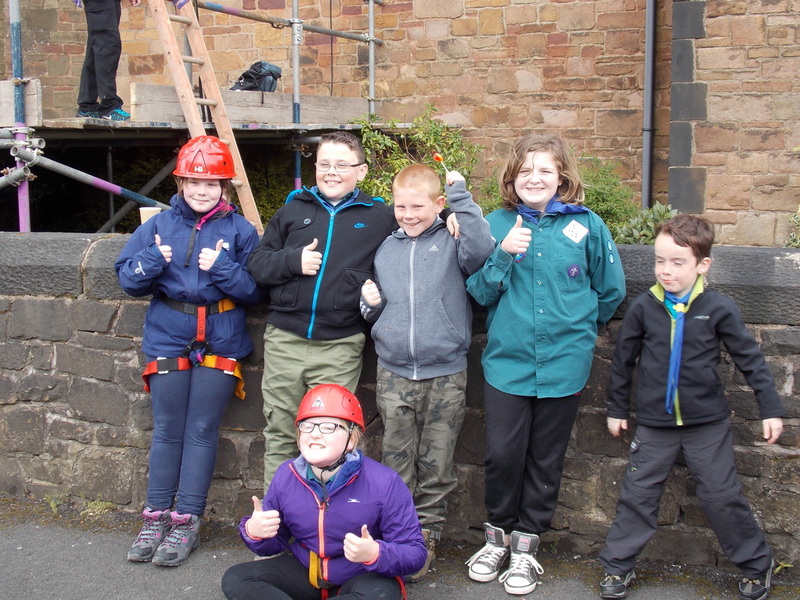 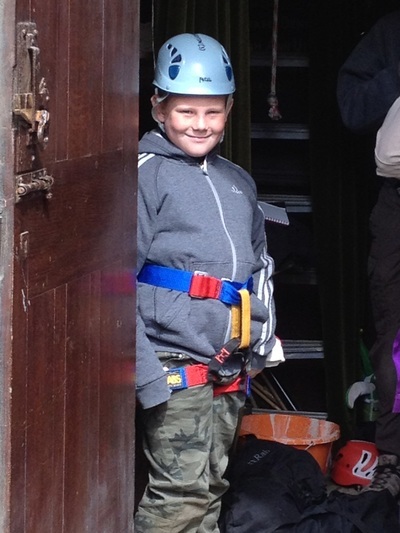 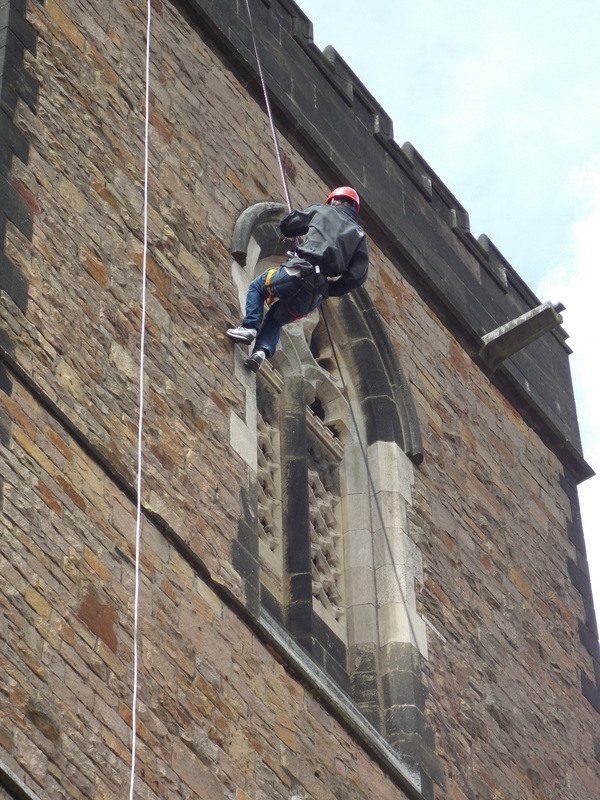 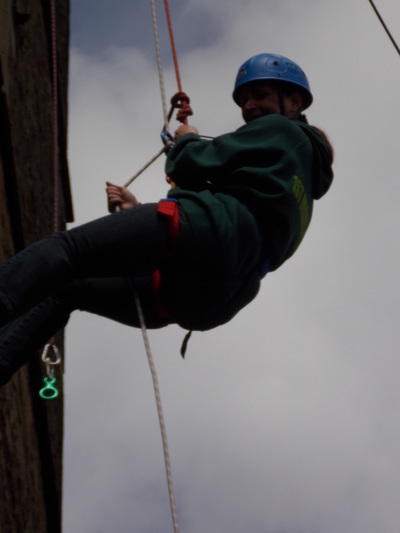 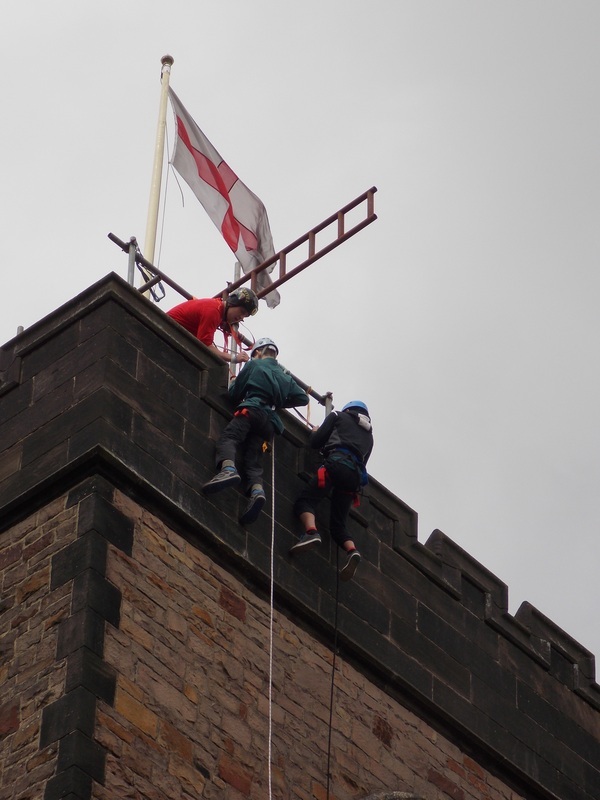 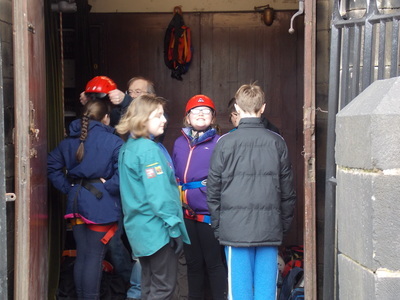 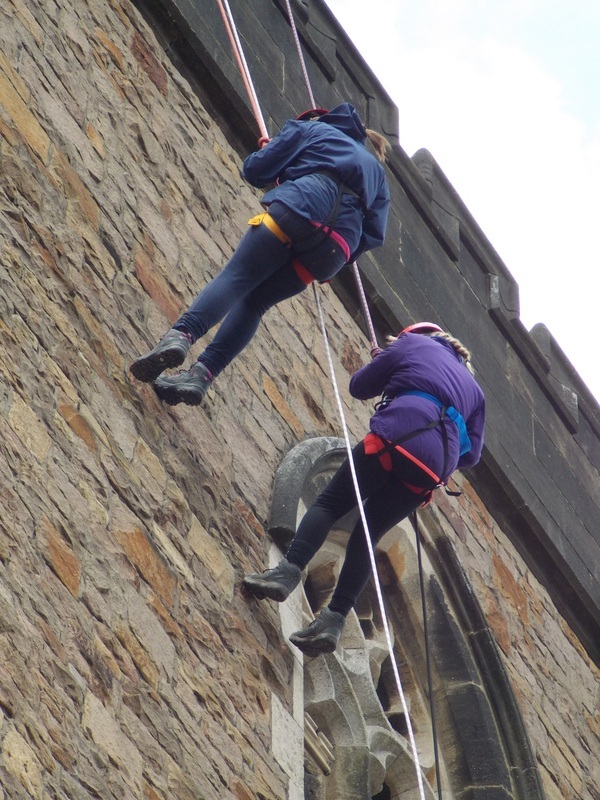 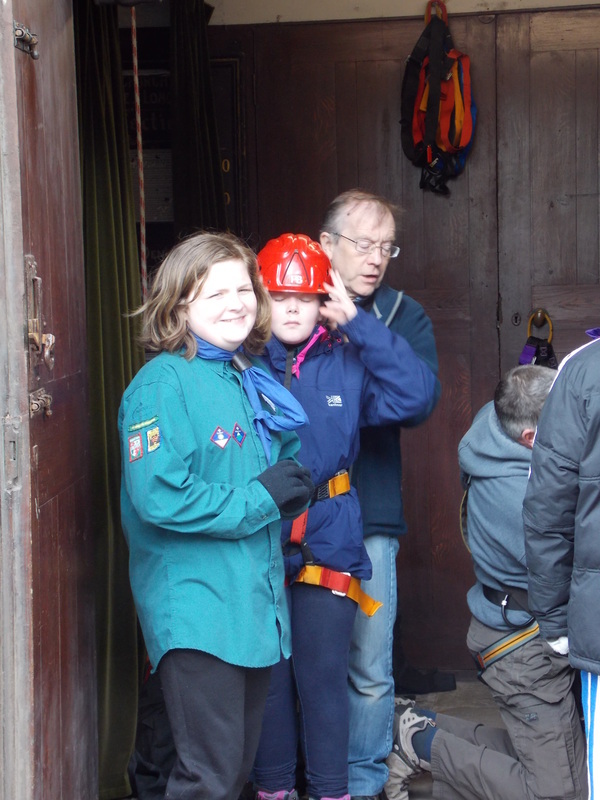 Our weekend started at 11.00 when we met up at St Anne's church in Royton to take part in an abseiling event. 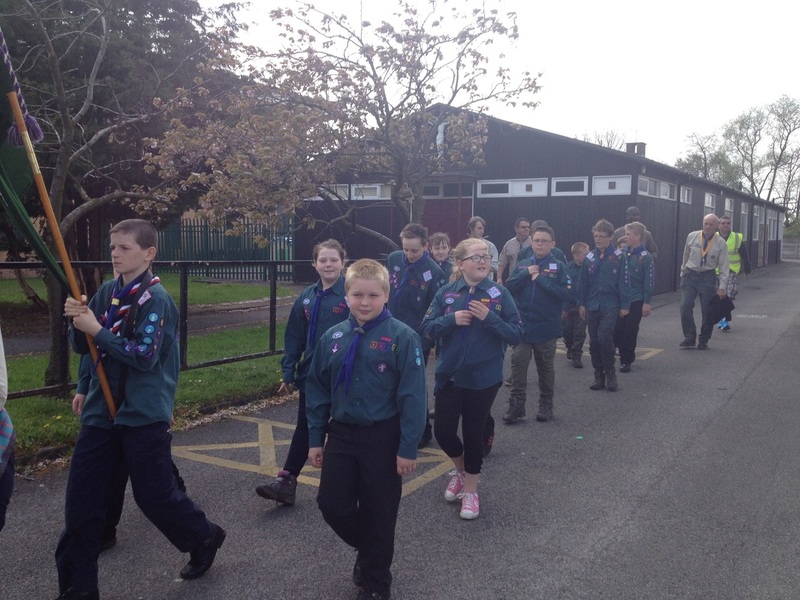 The weather was kind to us and 15 of us completed the event, Aaron was invested at the top of the tower! 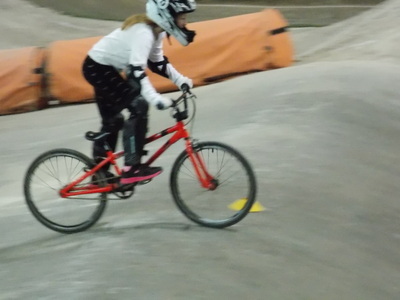 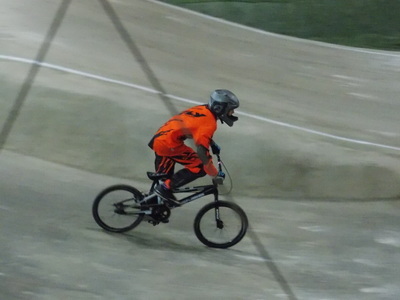 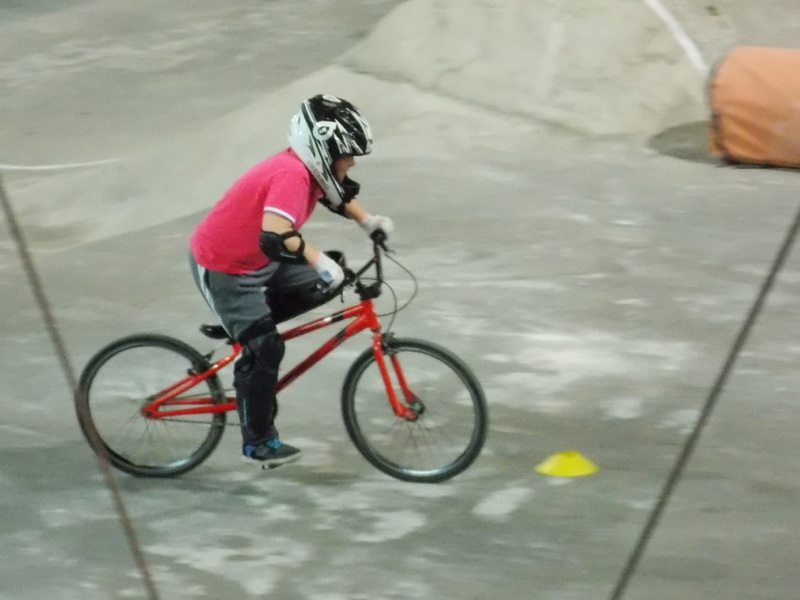 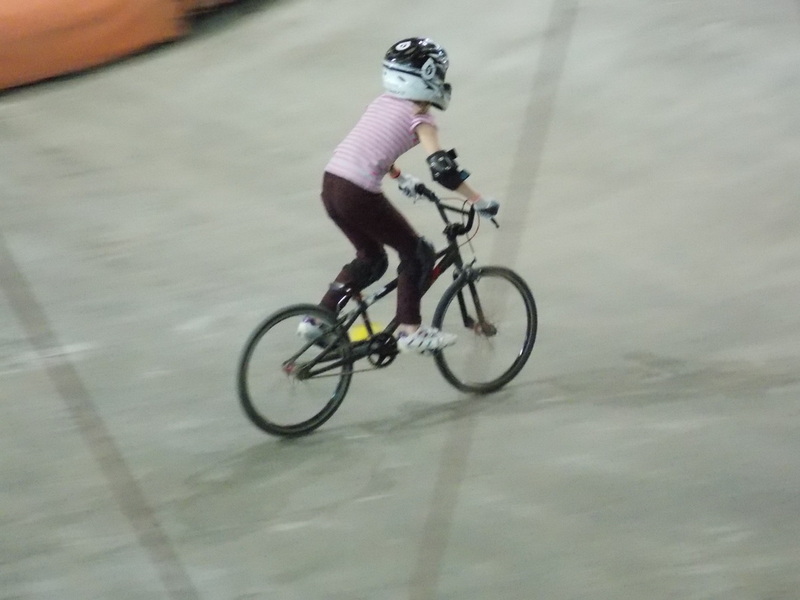 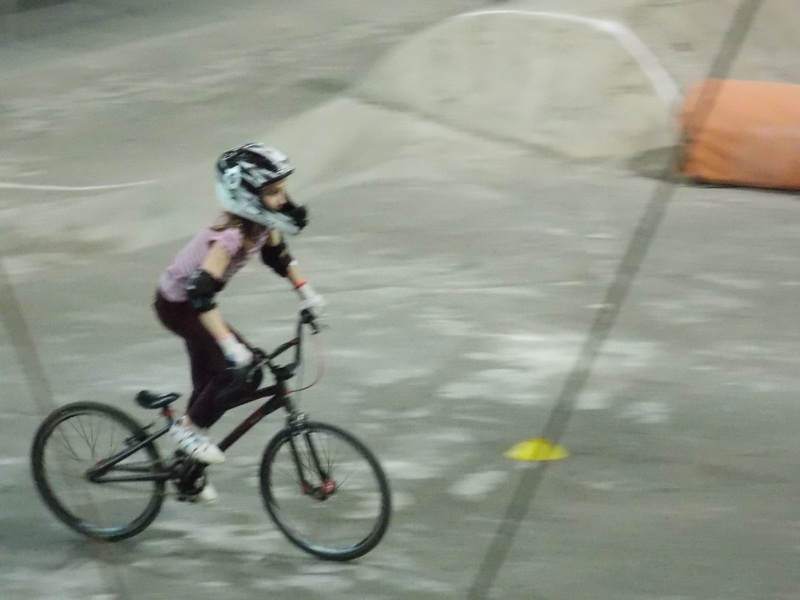 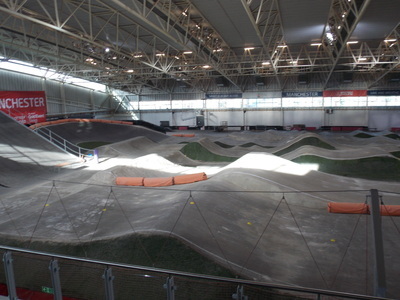 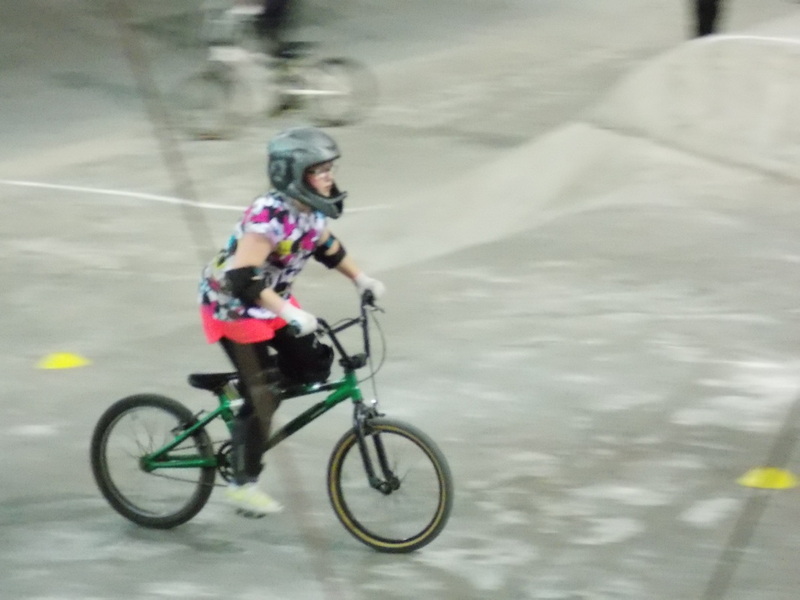 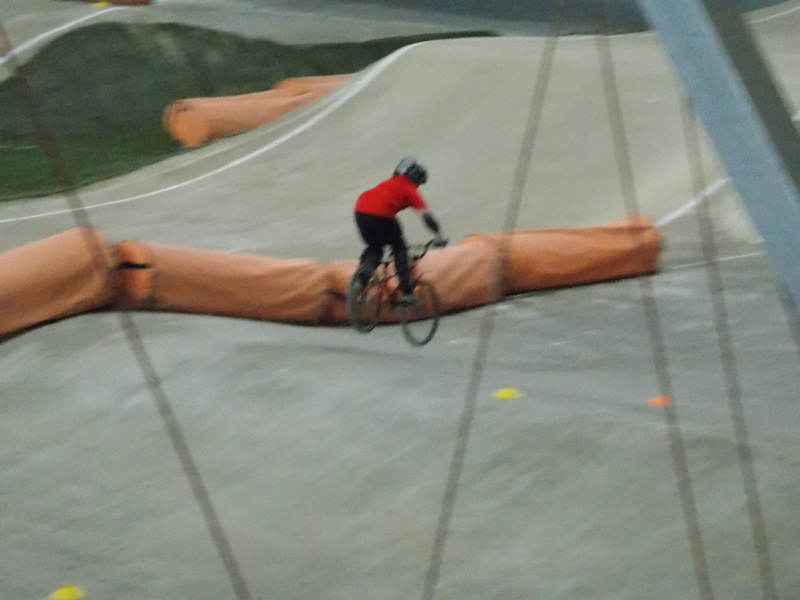 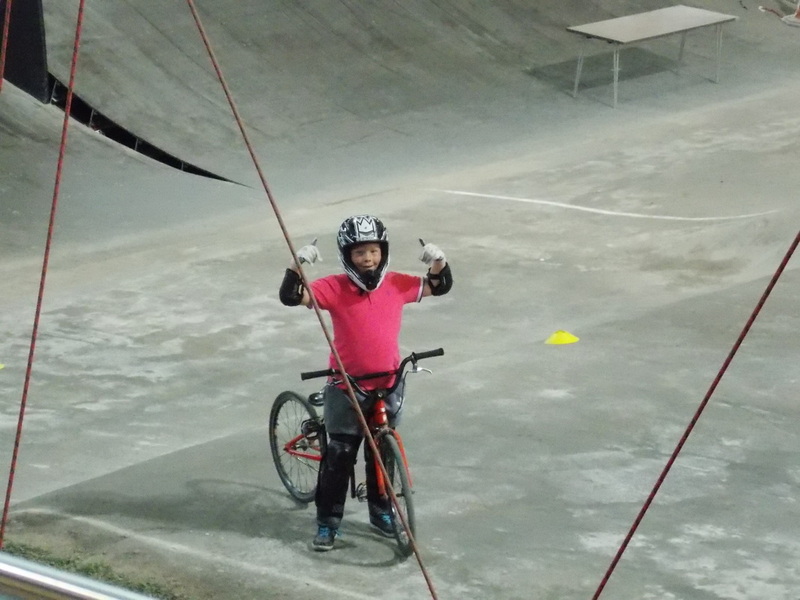 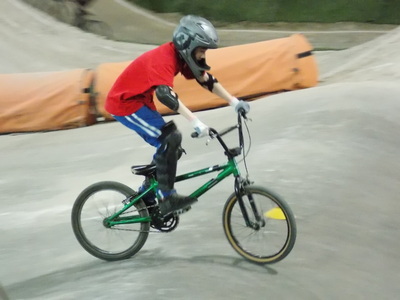 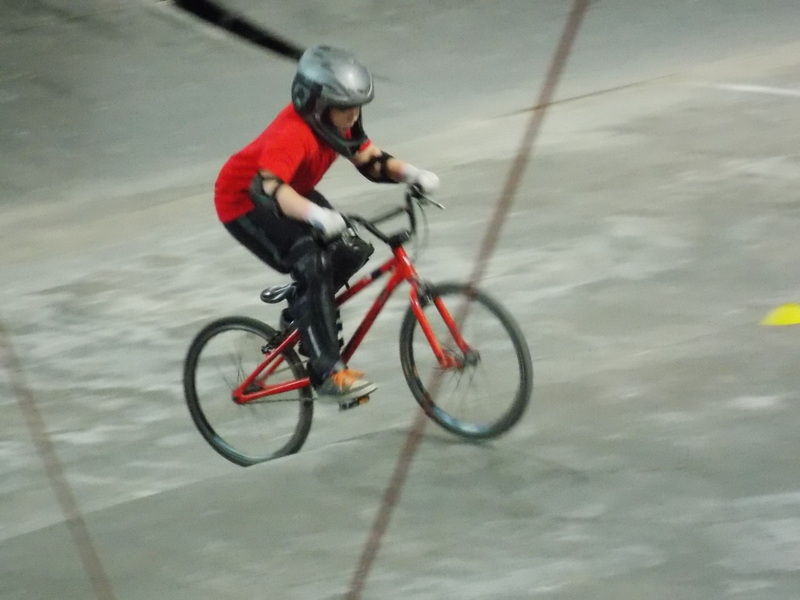 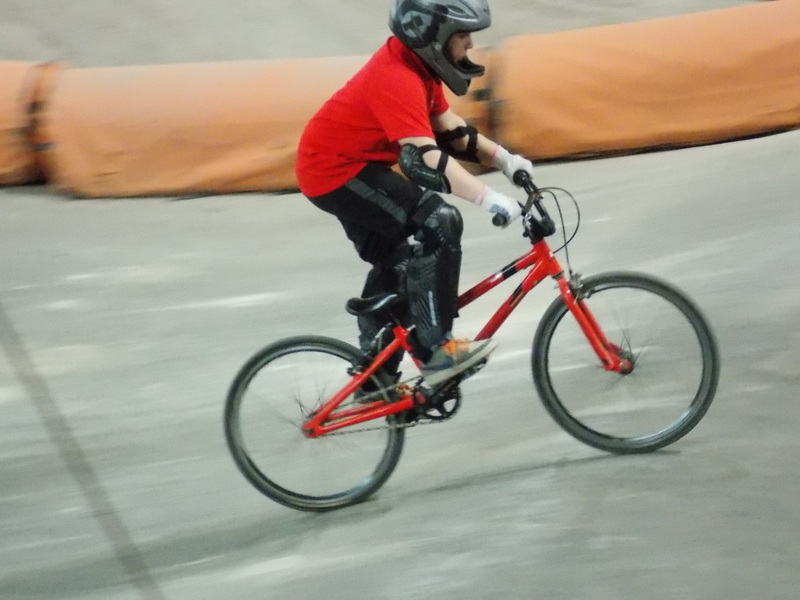 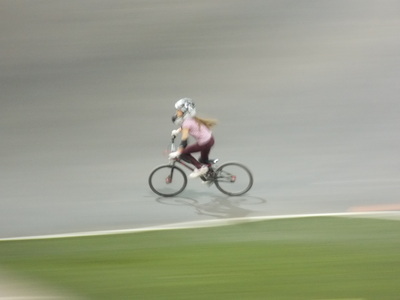 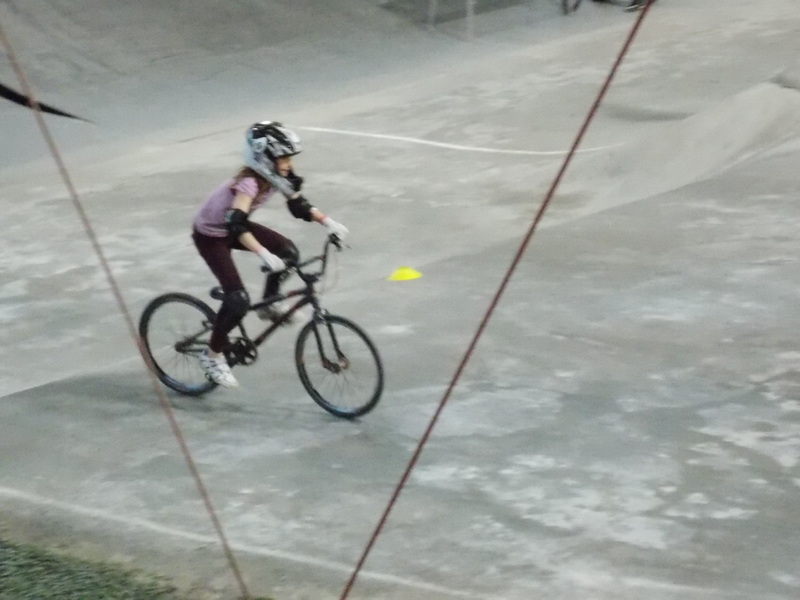 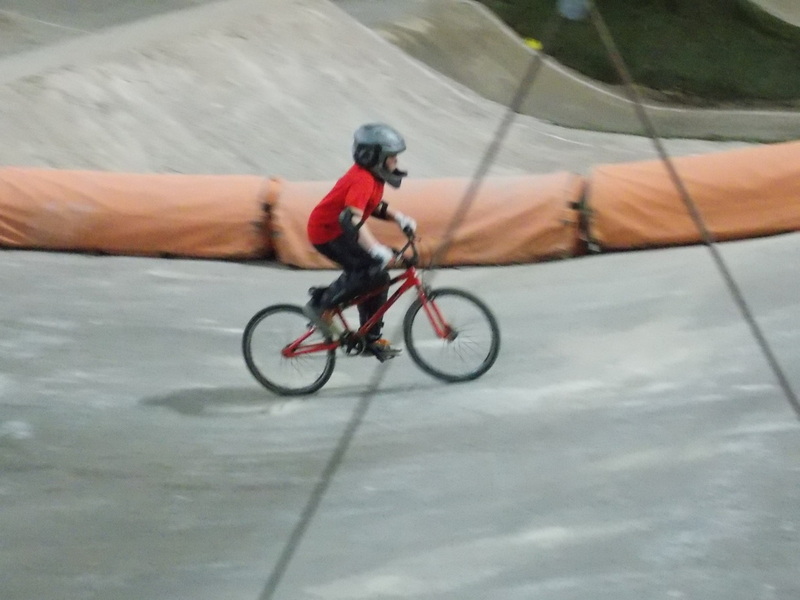 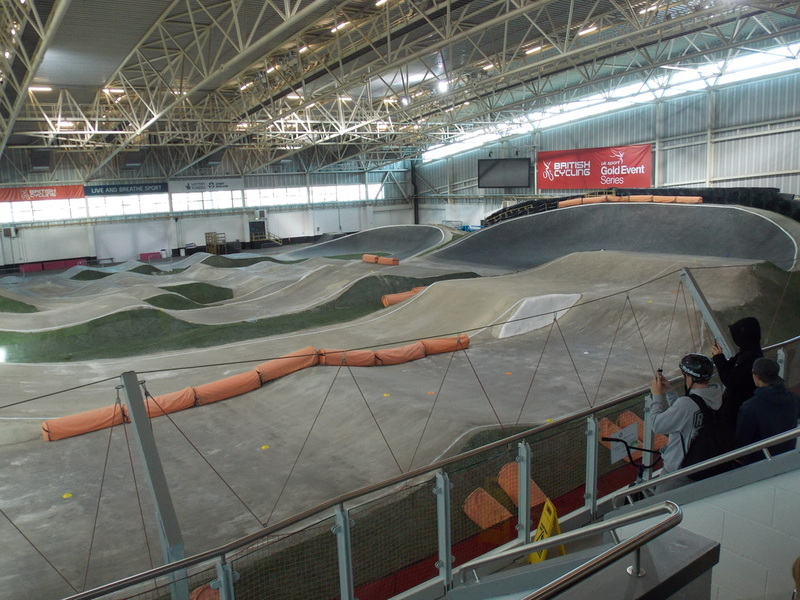 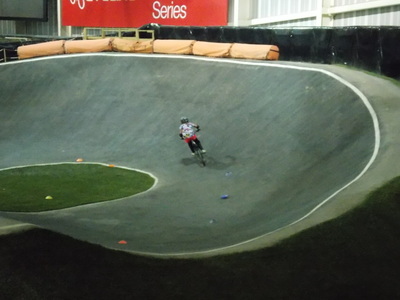 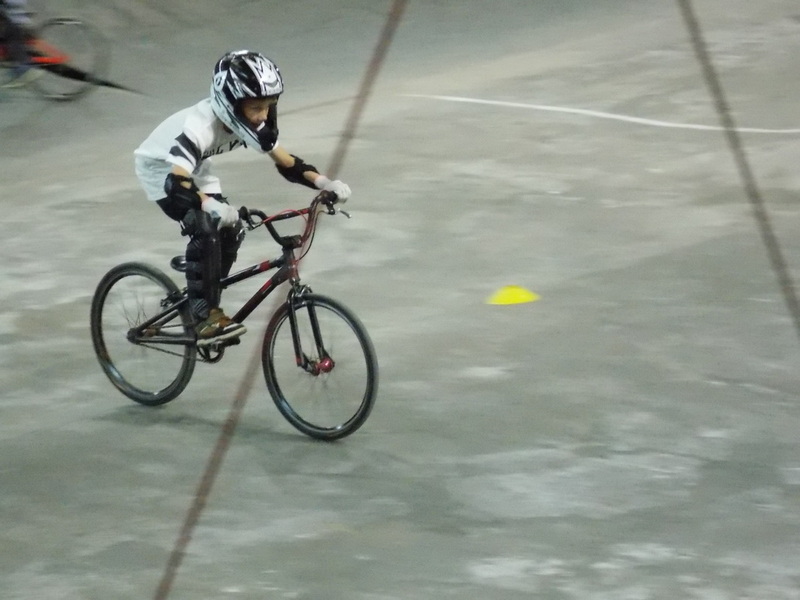 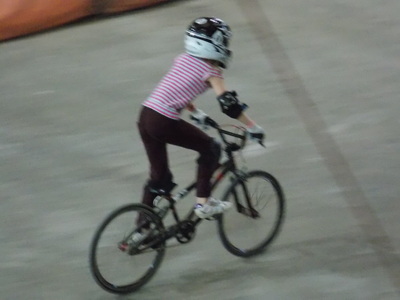 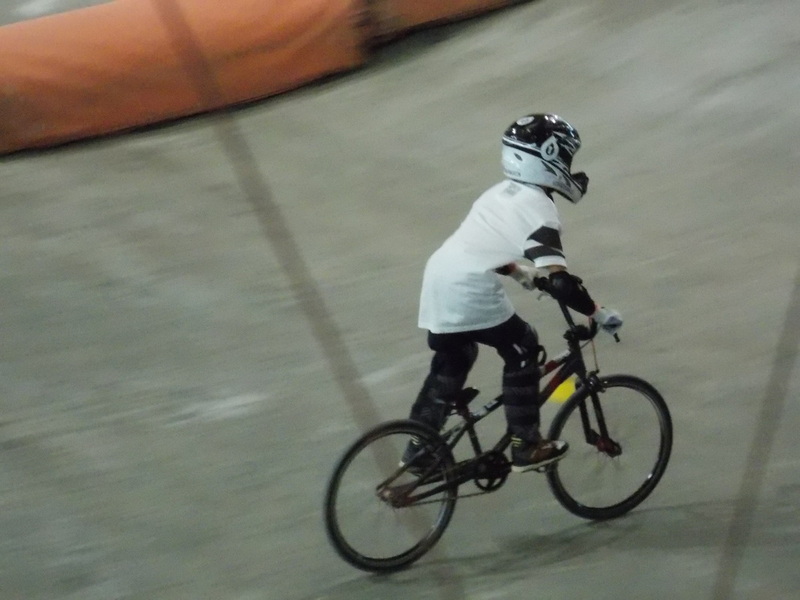 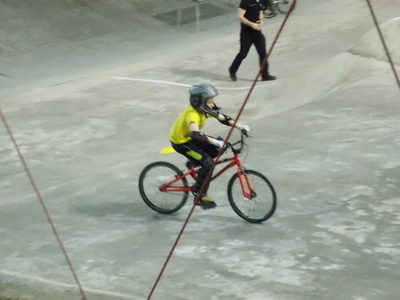 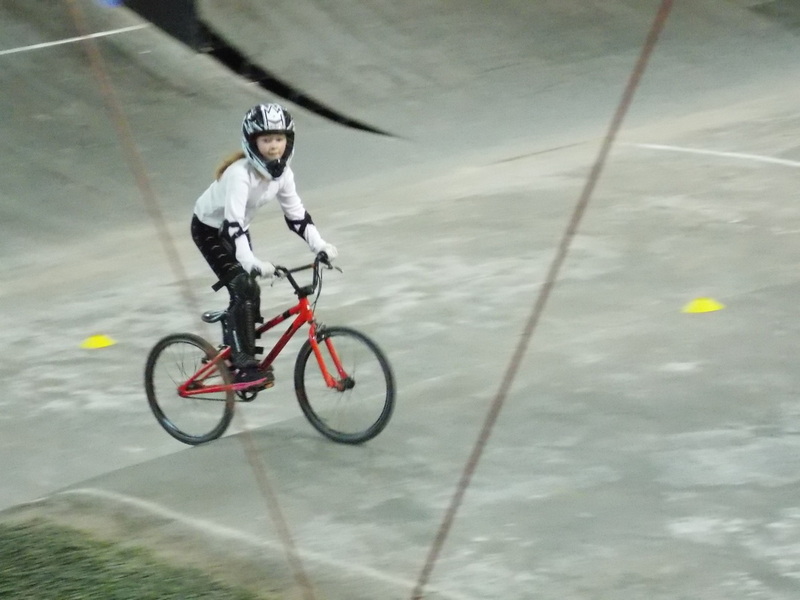 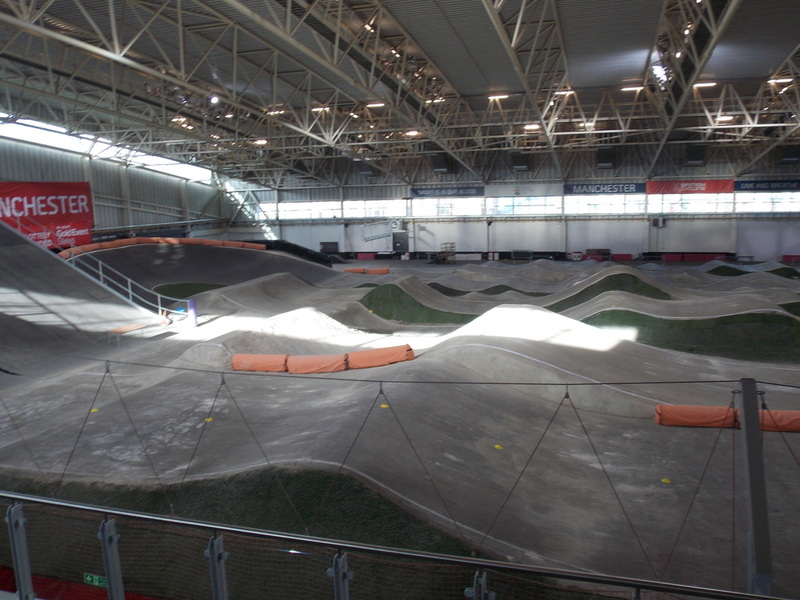 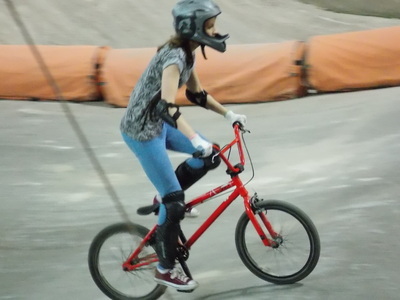 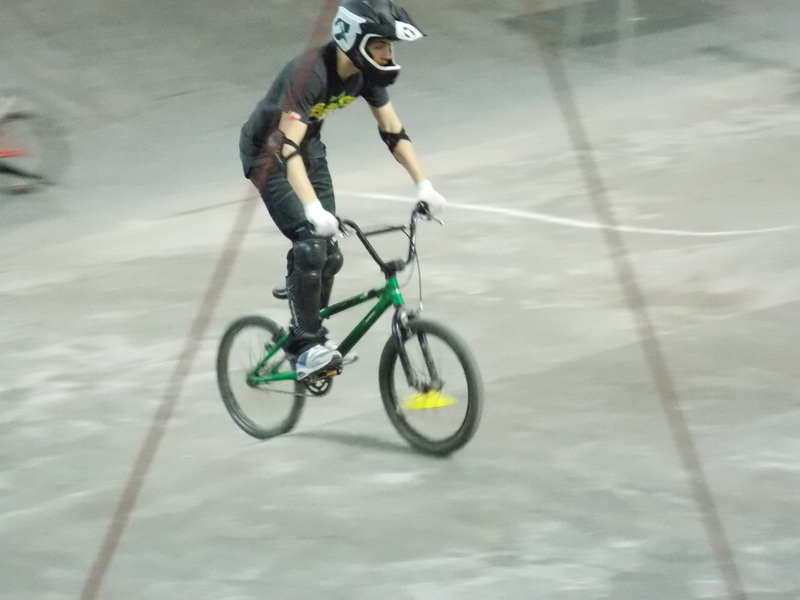 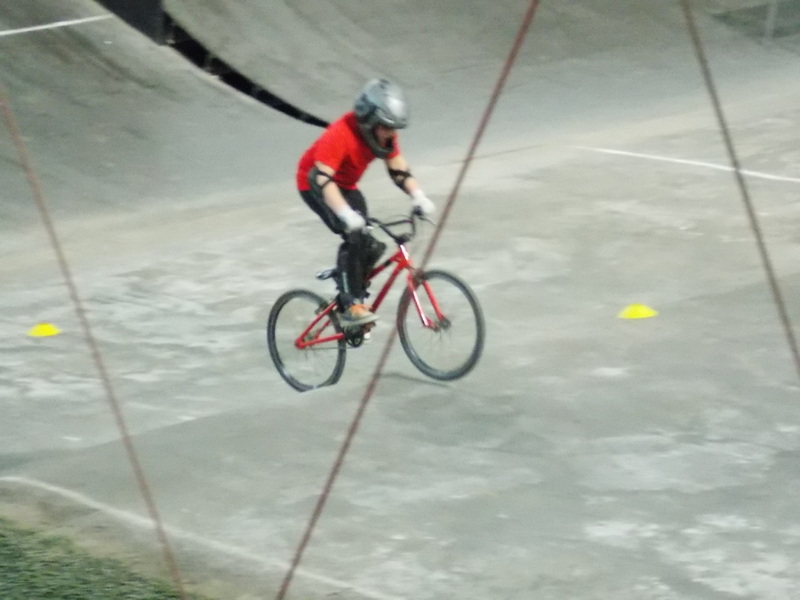 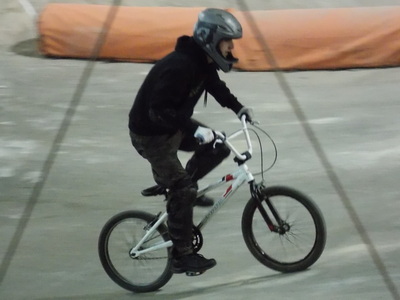 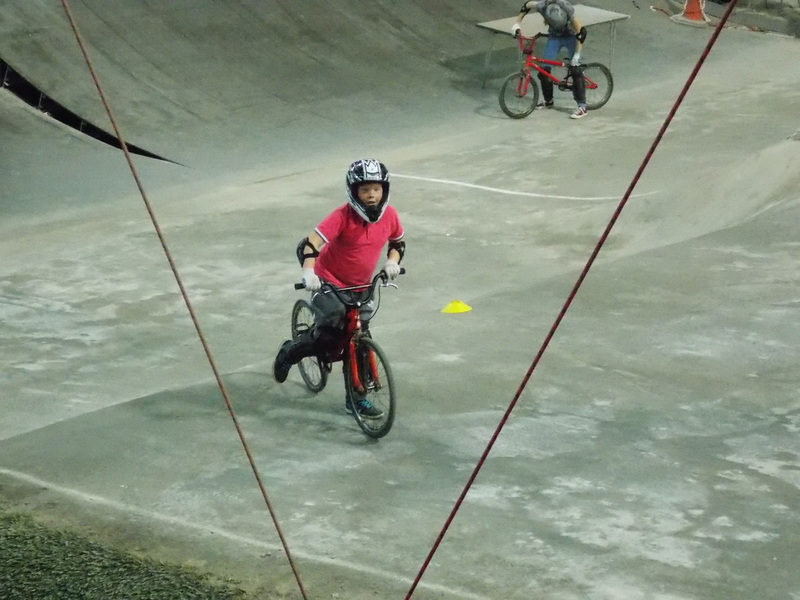 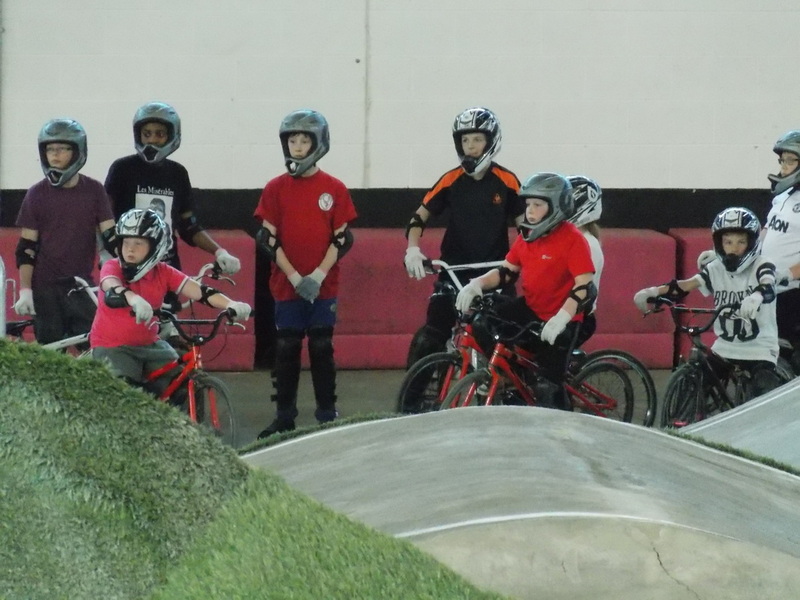 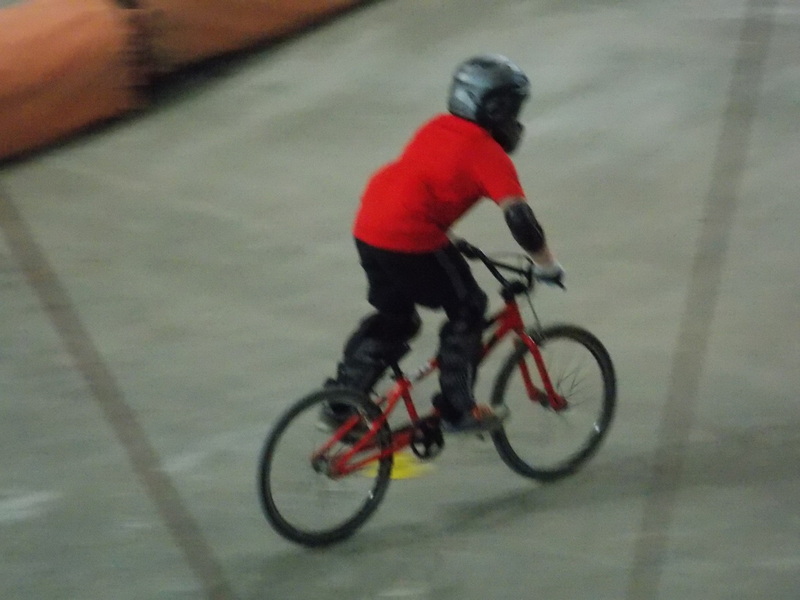 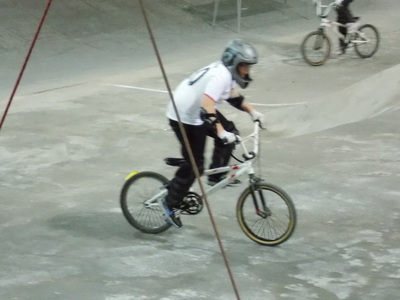 We met up again later on at 18.00 to take part in an hour long BMX session at the National Cycling Centre. (Apologies for the blurred photos, taking shots of fast moving subjects in poor light at long distance with one hand holding the camera and the other holding an uncooperative 10 month old is tricky). 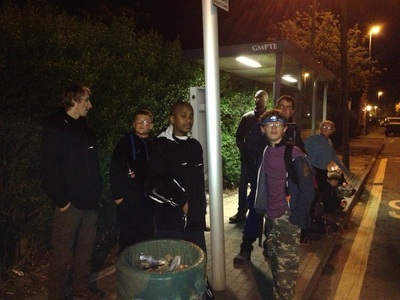 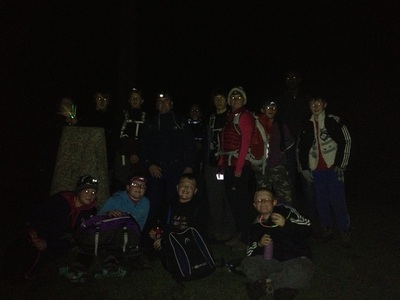 After a short rest we met up again at 22.00 for our annual night hike to Tandle Hill. At the monument we had a fantastic view and the skies were clear so we could see Mars, Jupiter and Saturn. We got the night bus back to HQ where we had hot chocolate and hot dogs and went to sleep - eventually! 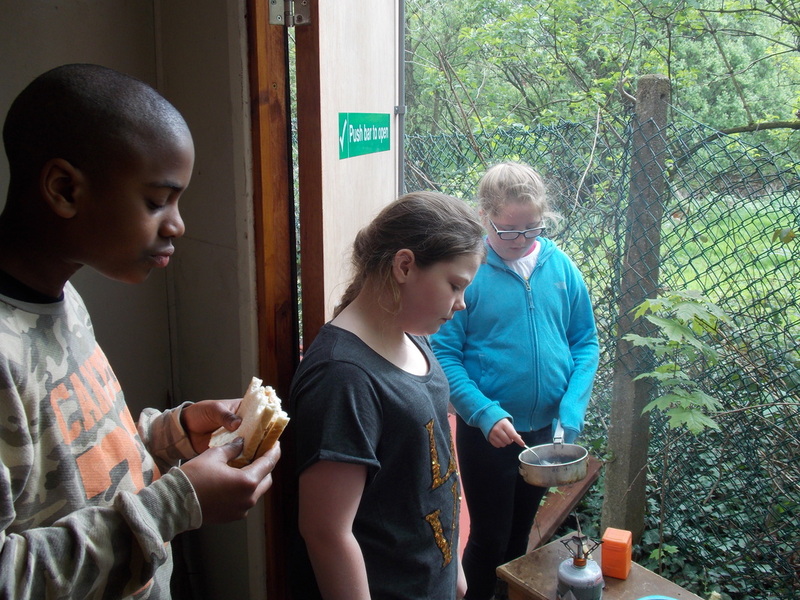 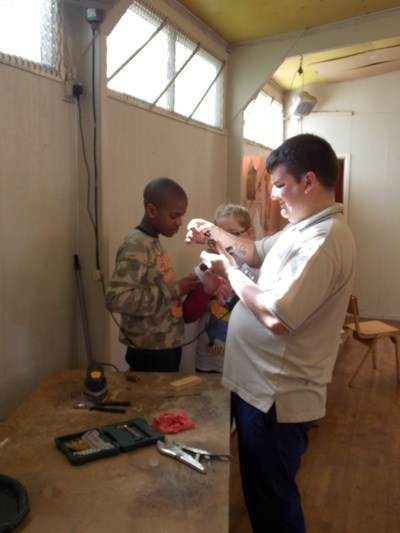 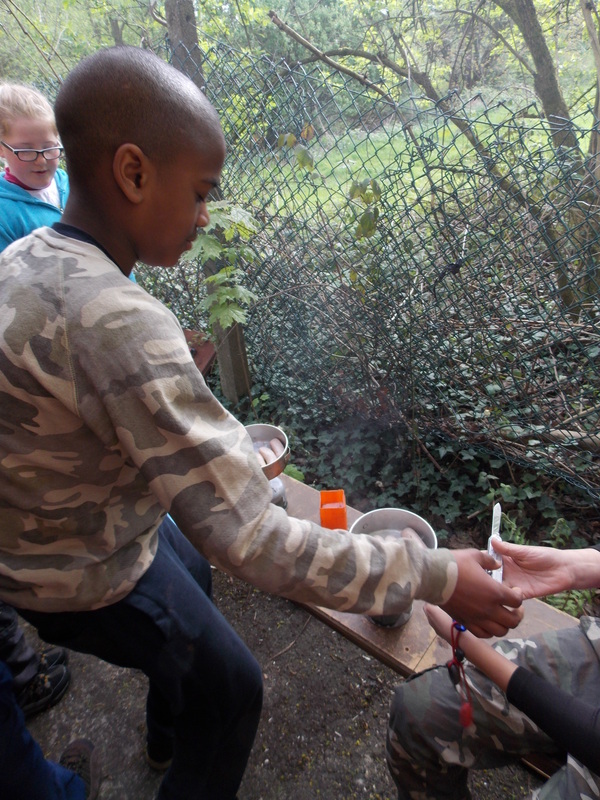 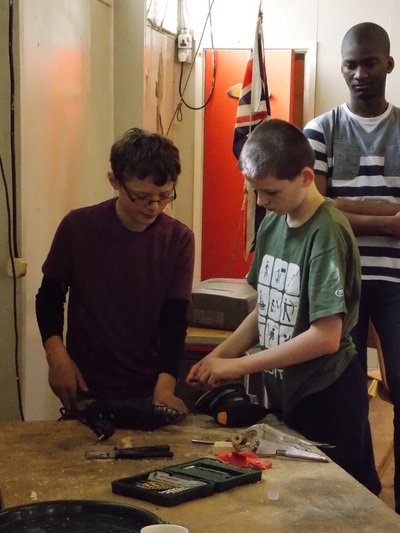 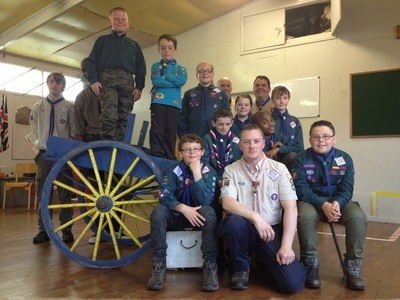 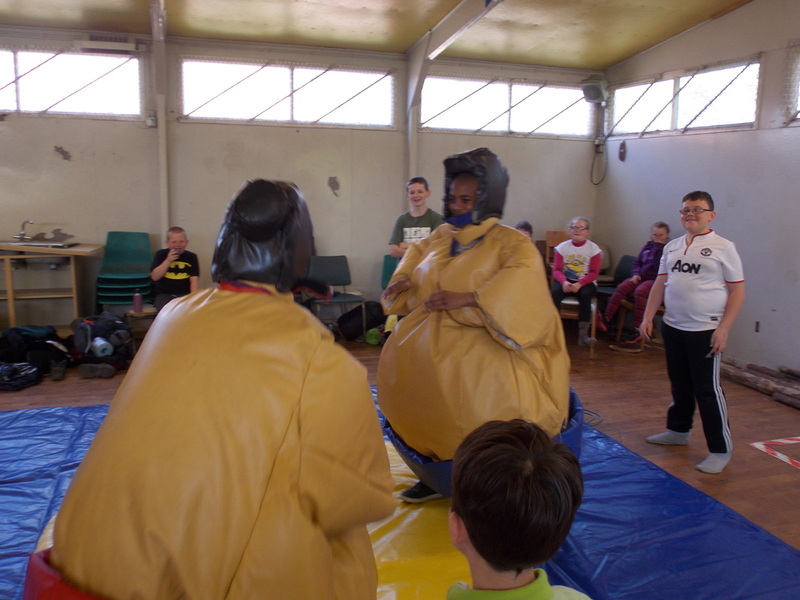 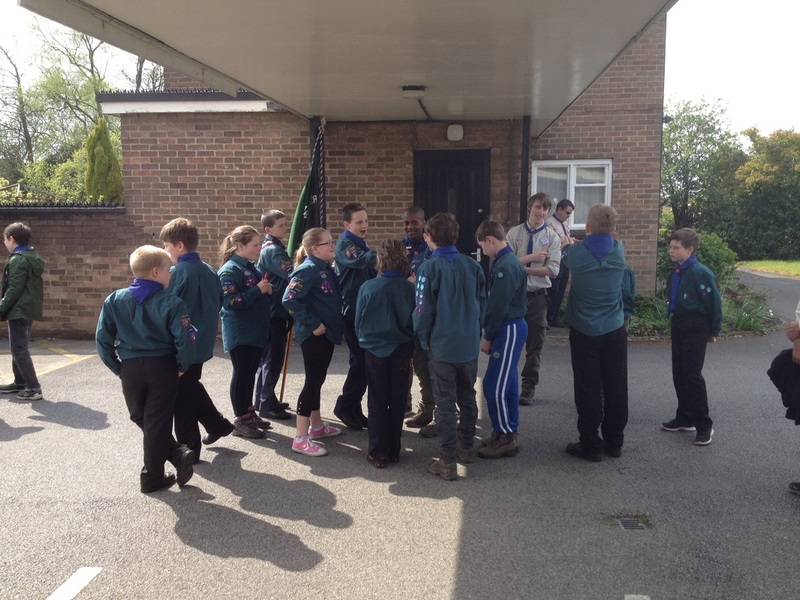 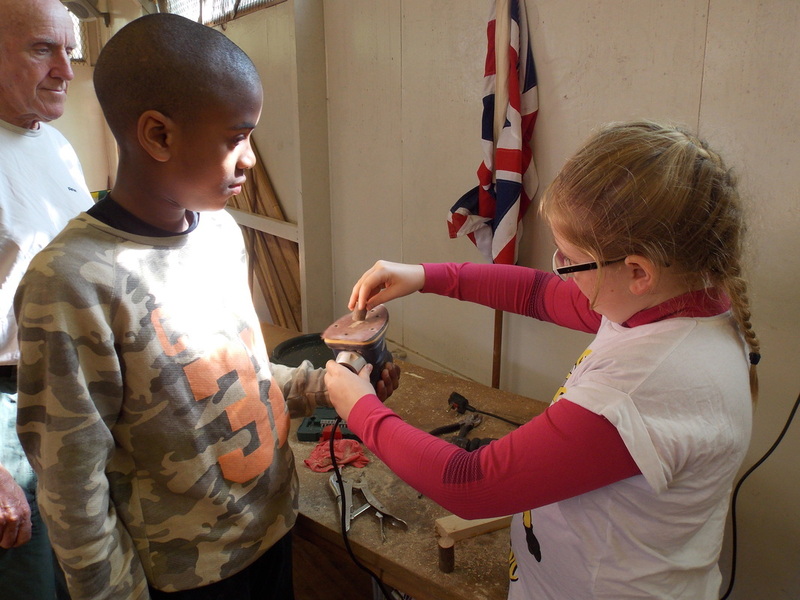 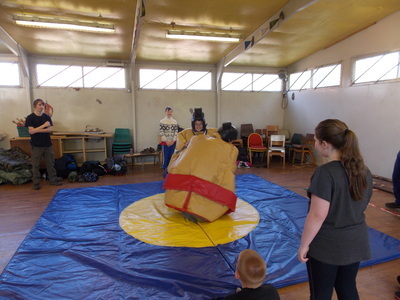 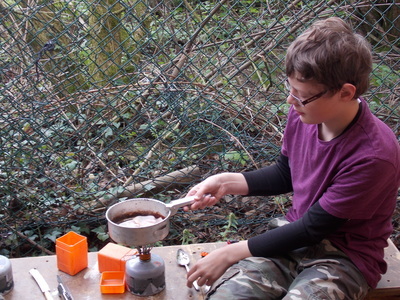 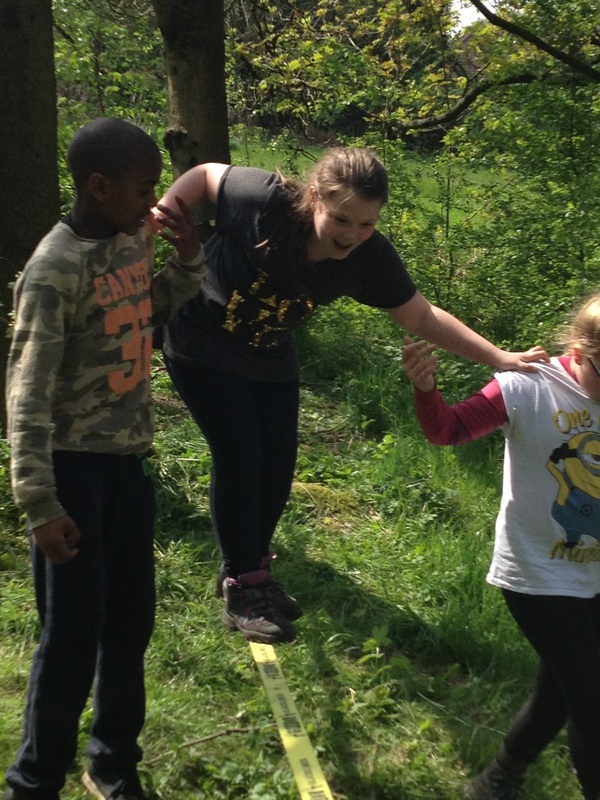 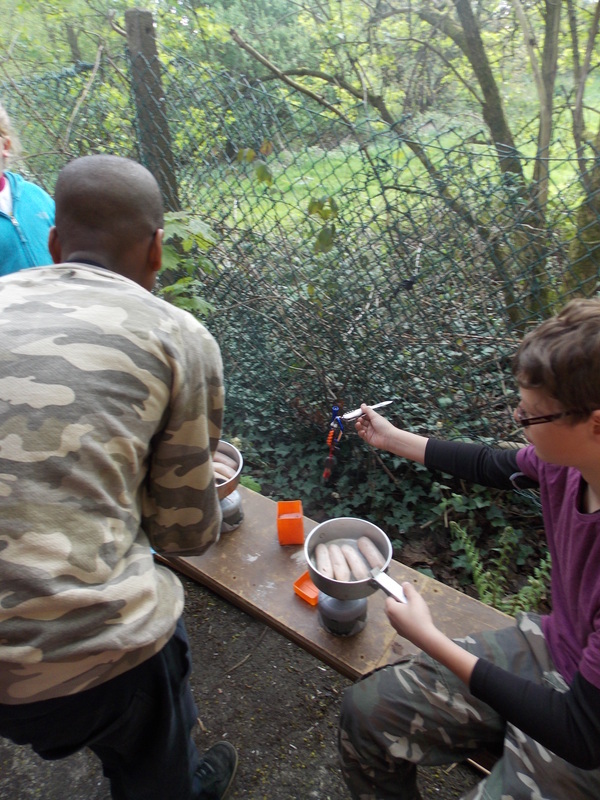 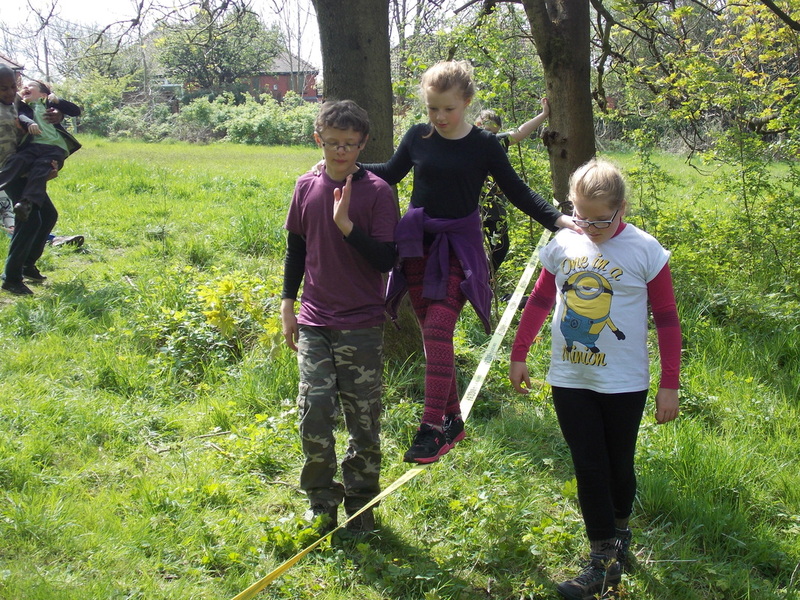 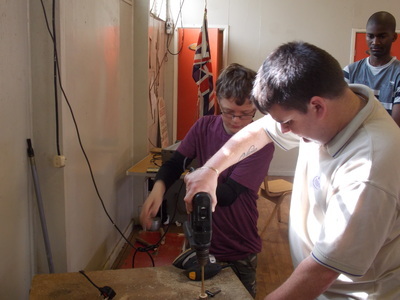 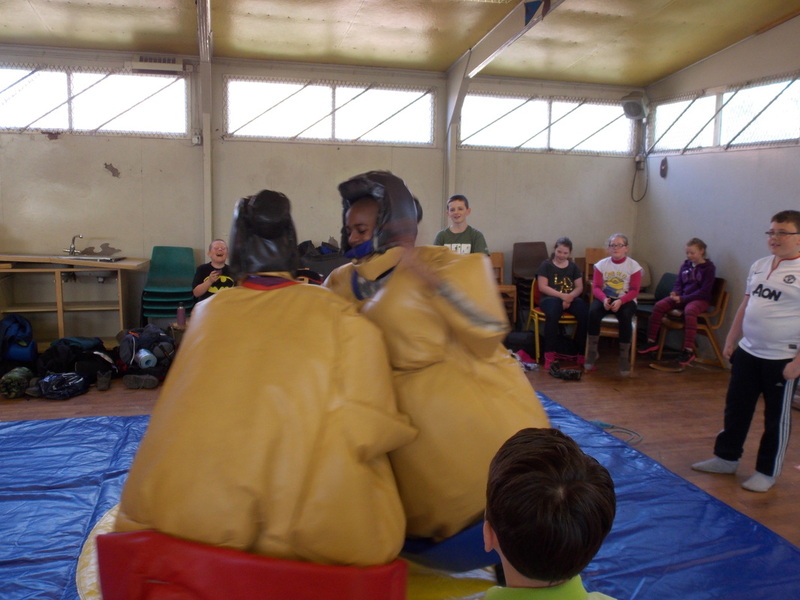 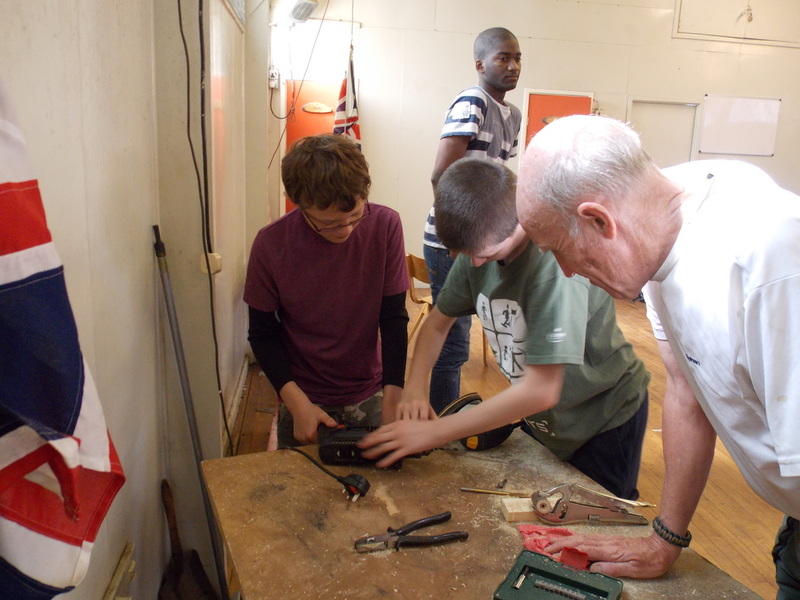 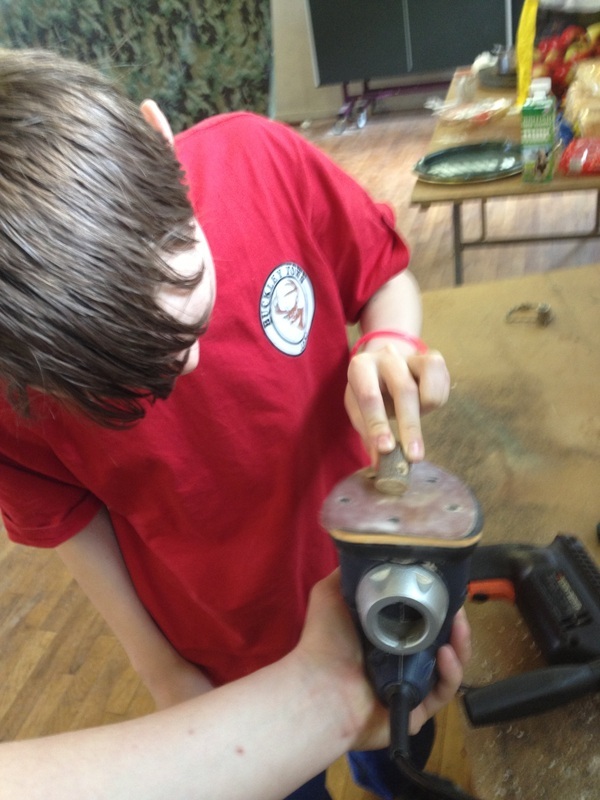 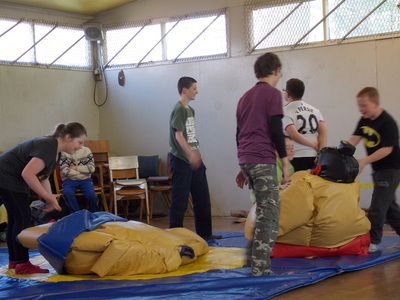 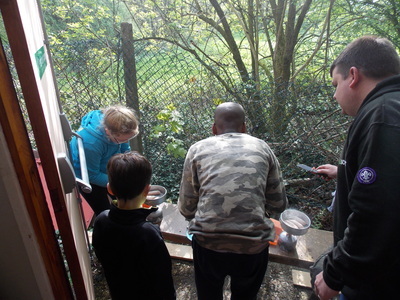 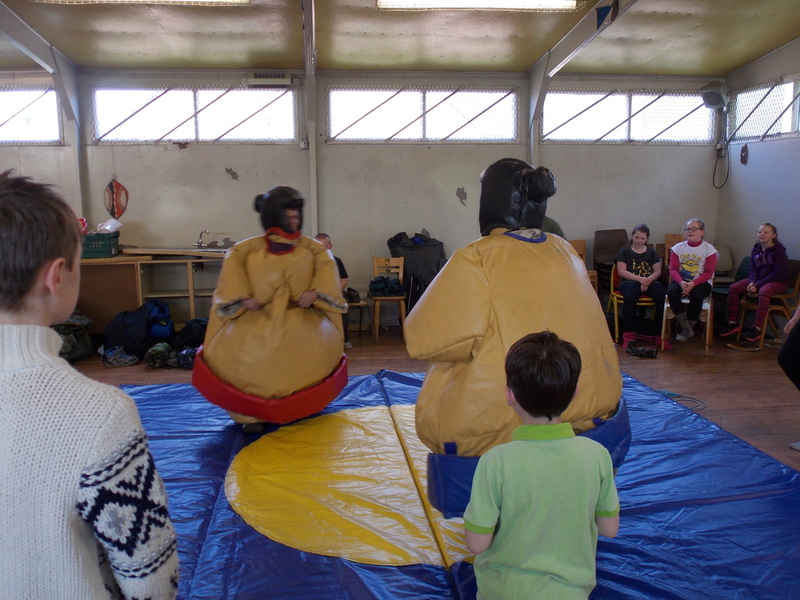 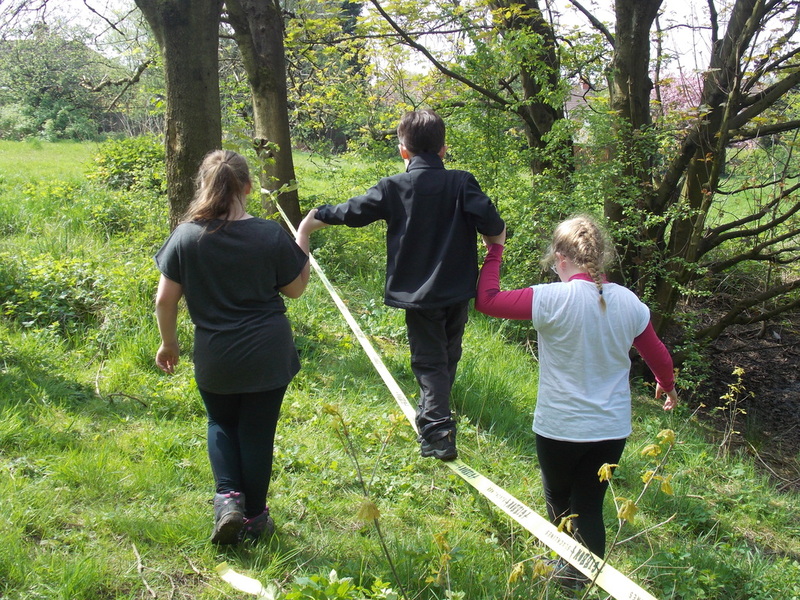 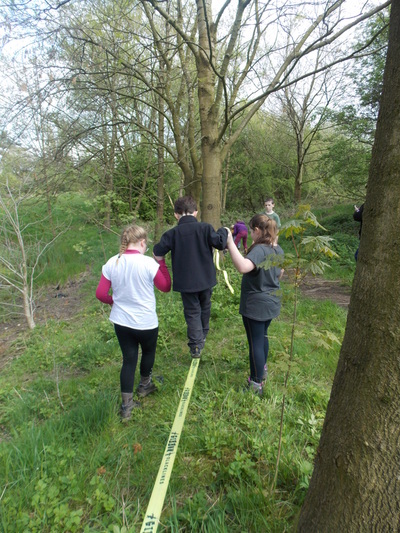 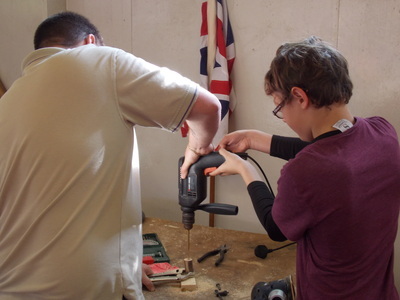 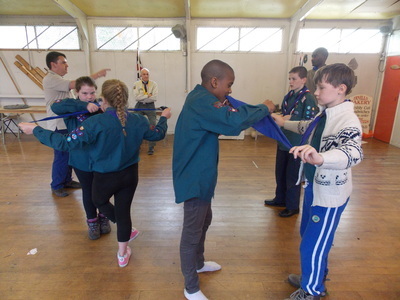 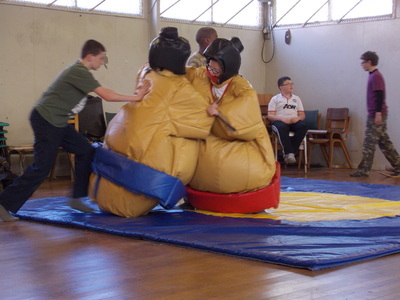 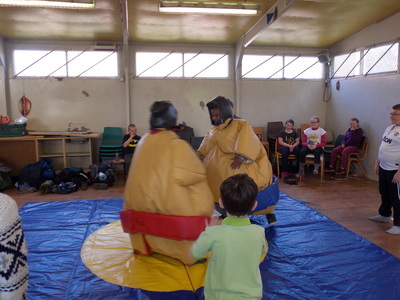 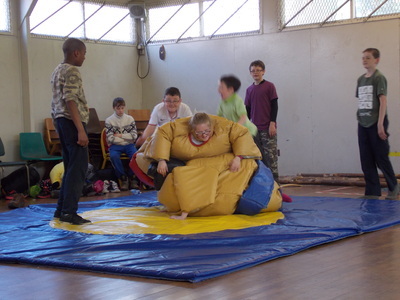 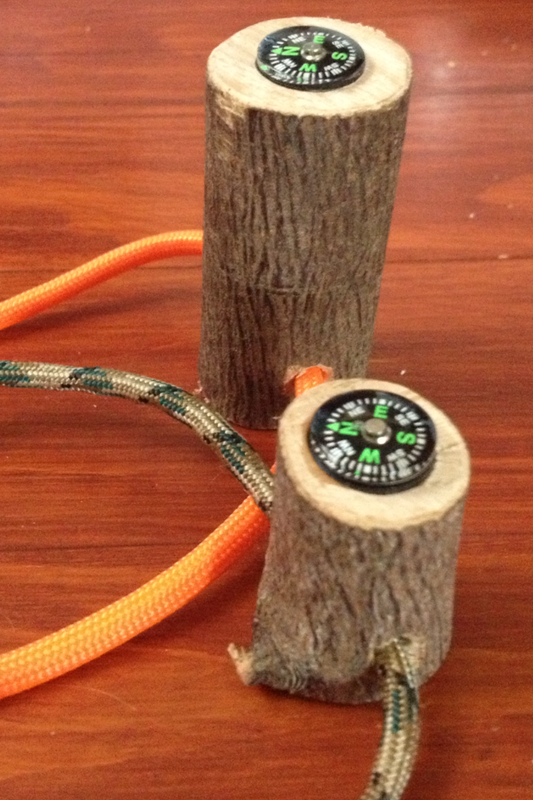 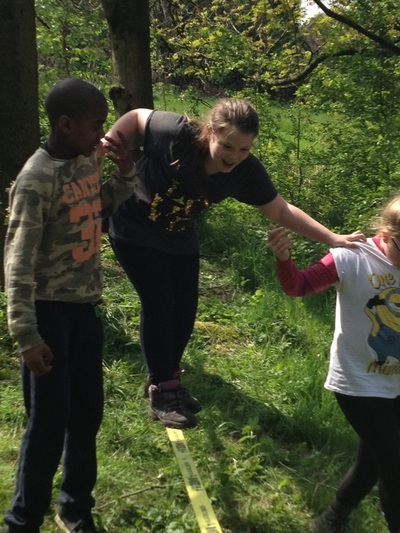 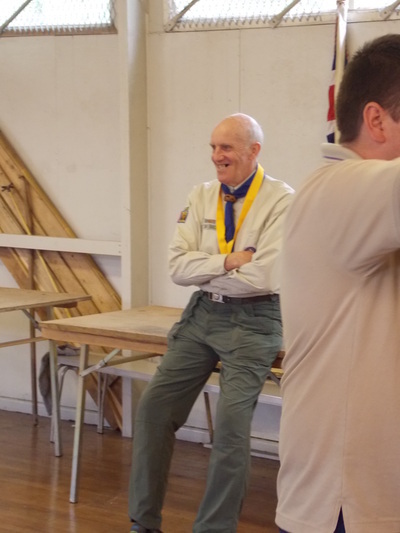 In the morning the Scouts cooked bacon and sausages for breakfast then made survival compasses, tried their balance on the slackline and had a sumo match or two. 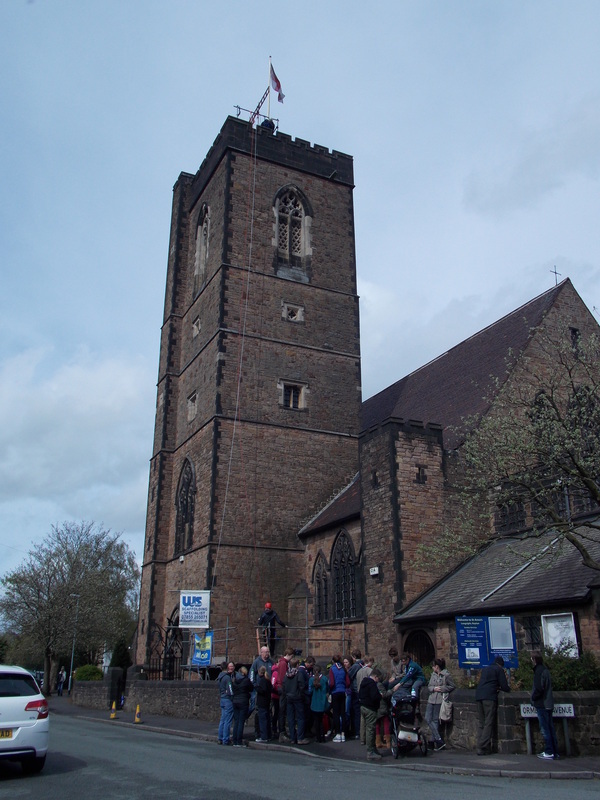 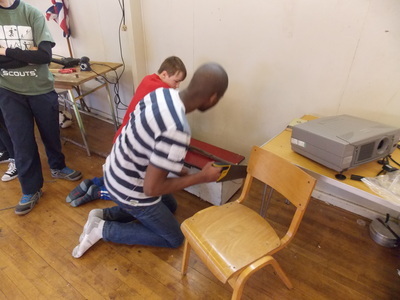 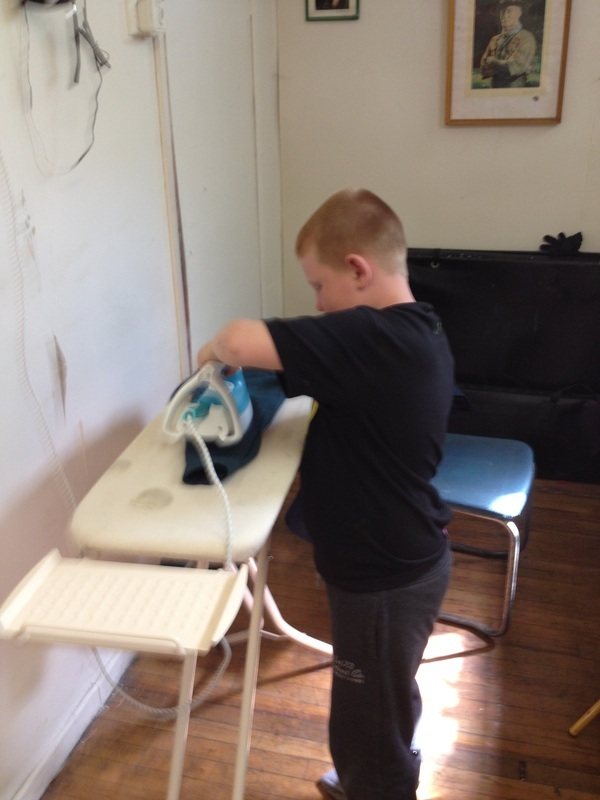 Then it was time to iron our uniforms, get ready and walk down to St Thomas More's church for the St George's service and parade.